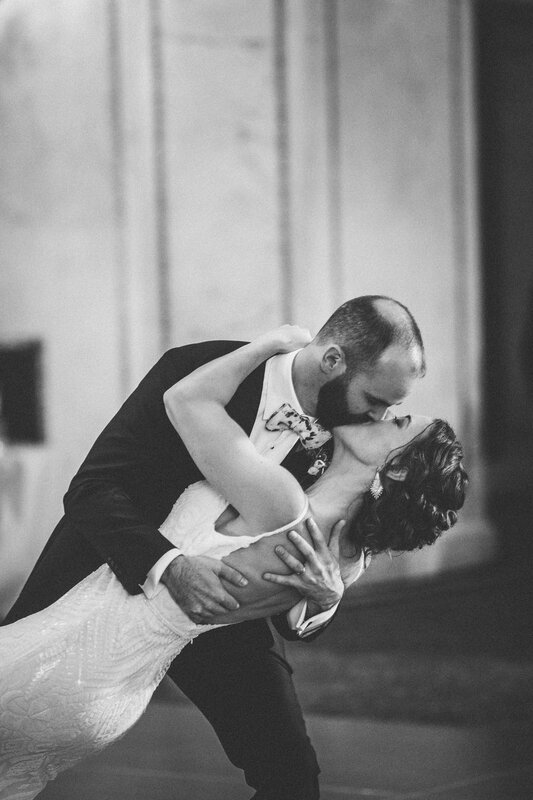 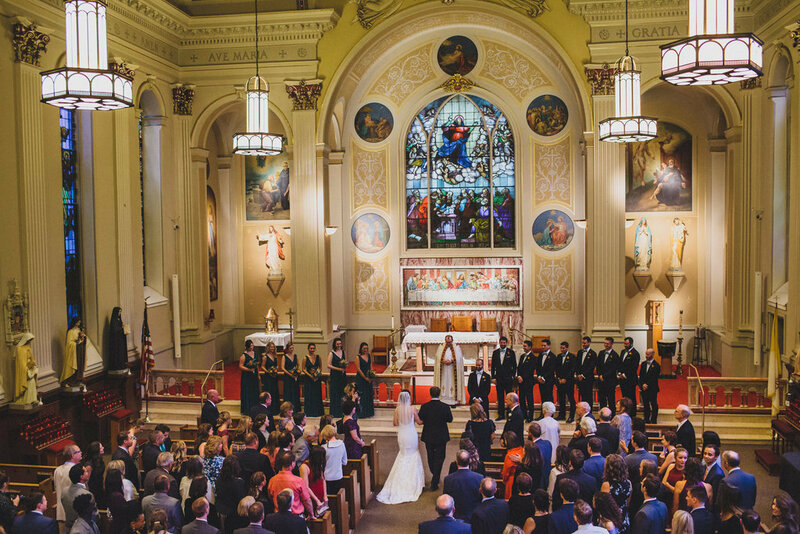 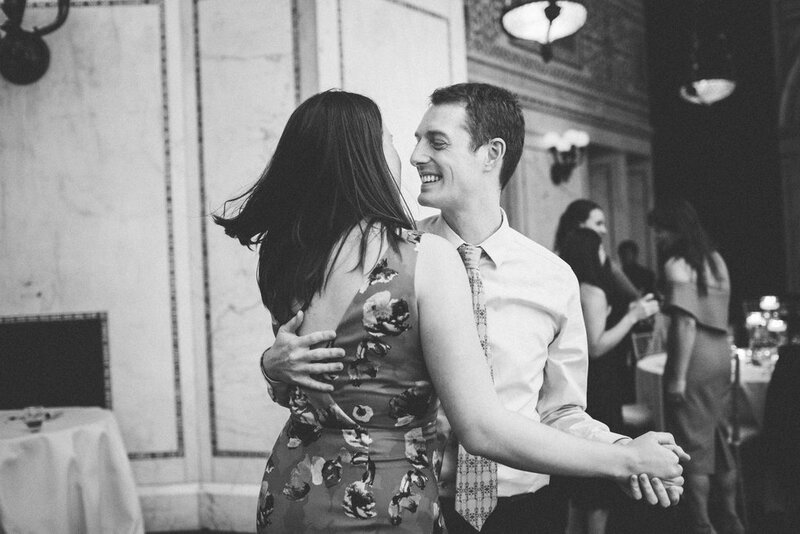 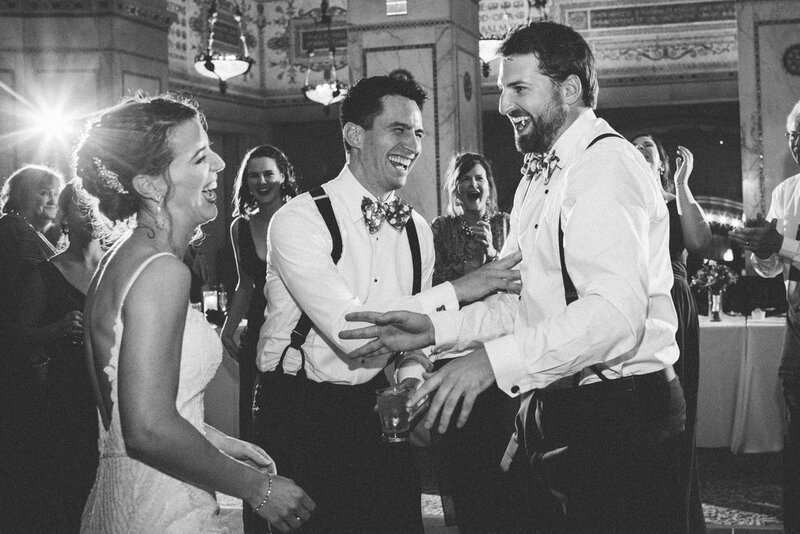 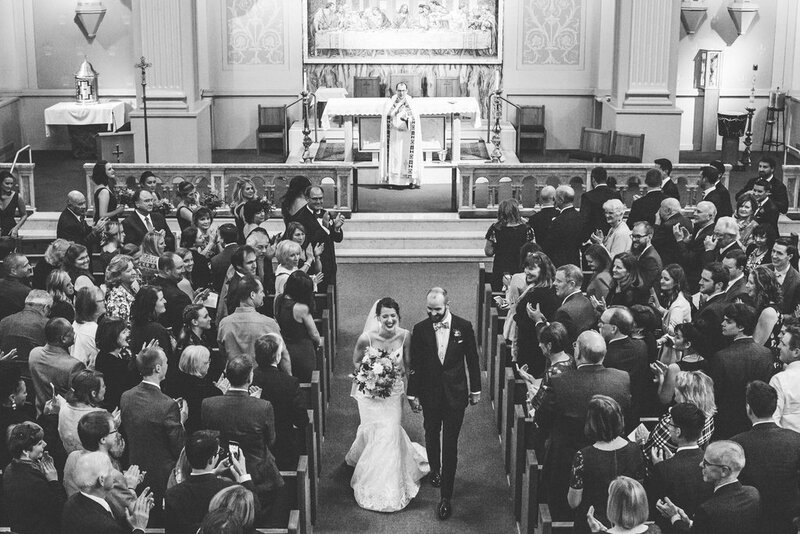 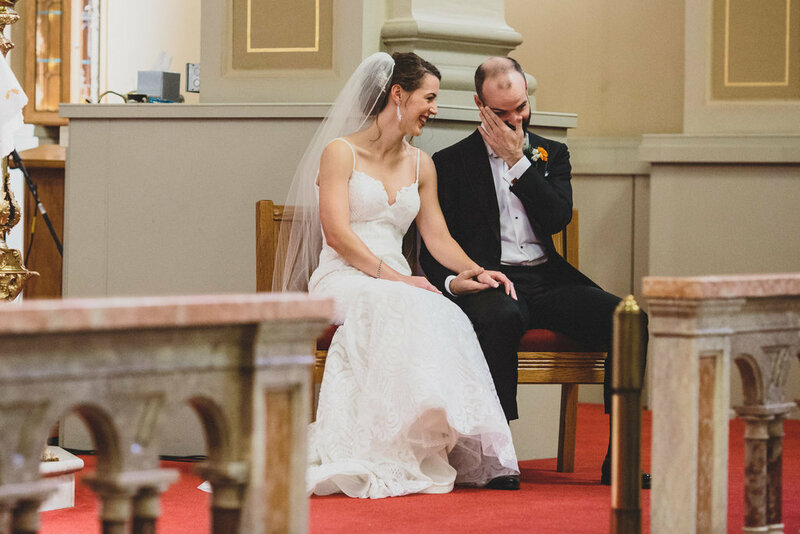 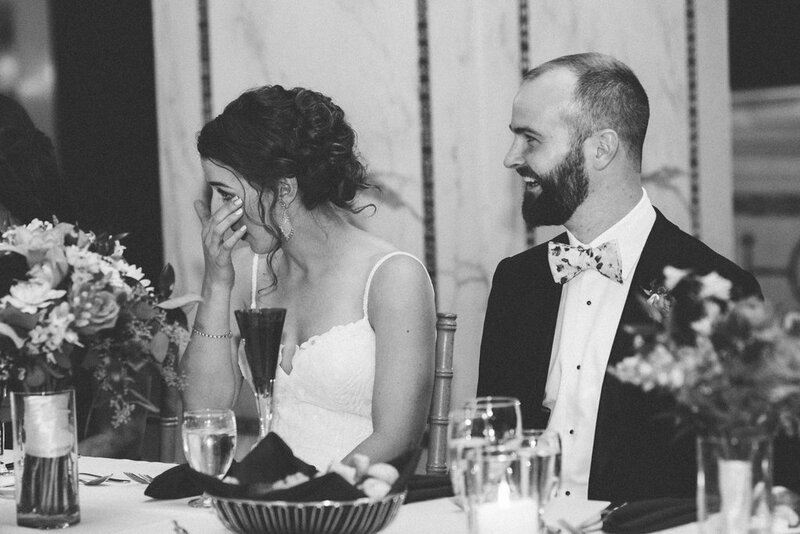 The love on Caroline and Mike’s wedding day was palpable and the laughter was nonstop. 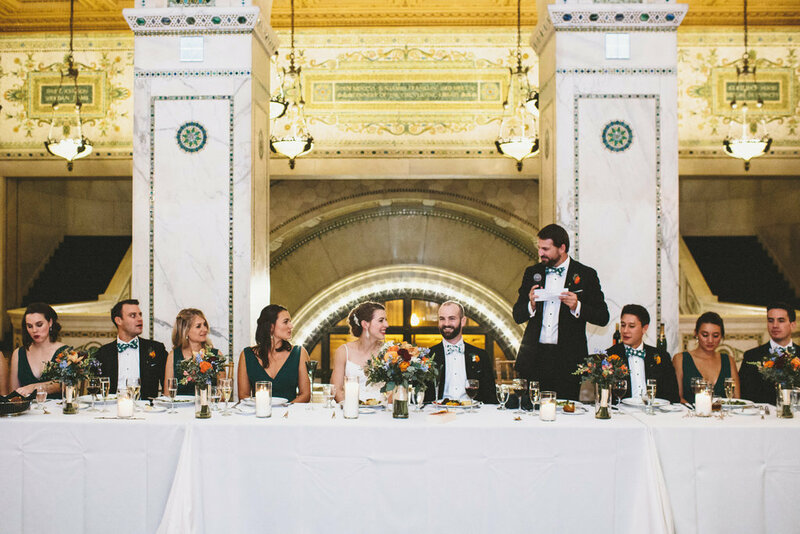 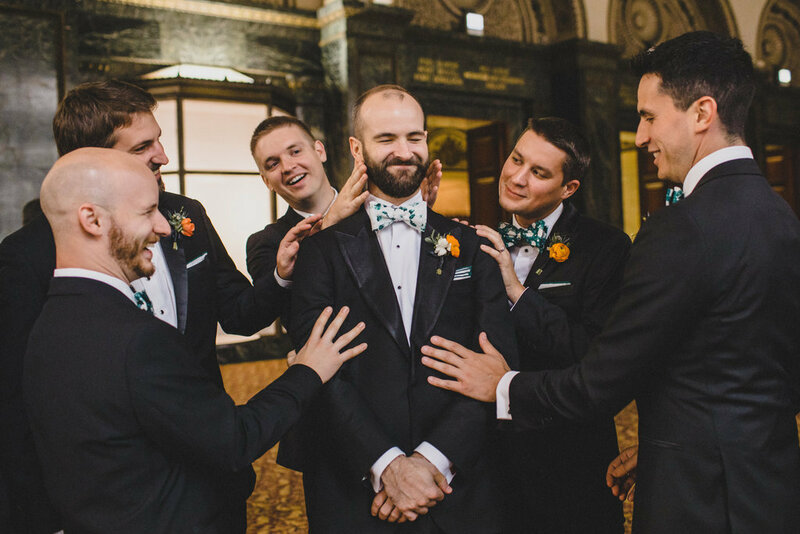 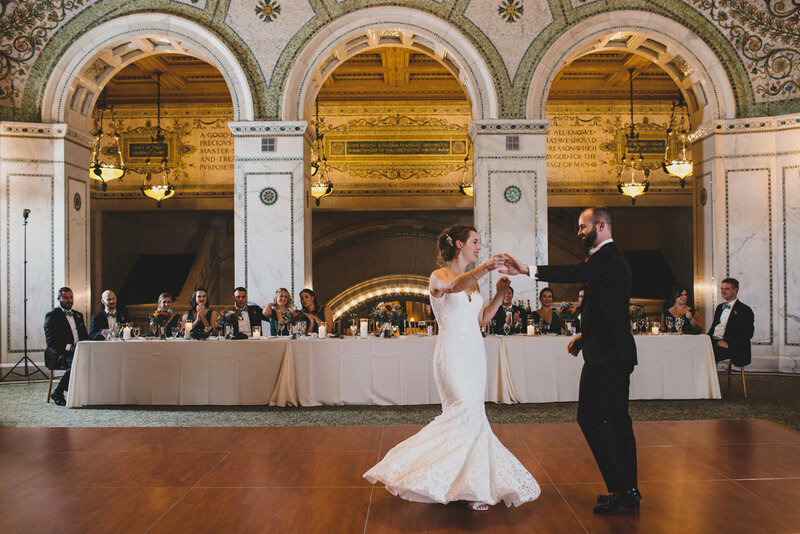 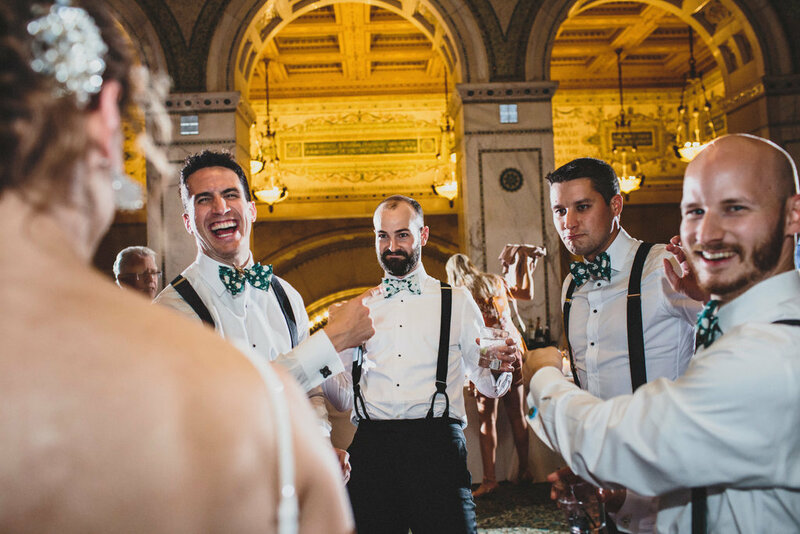 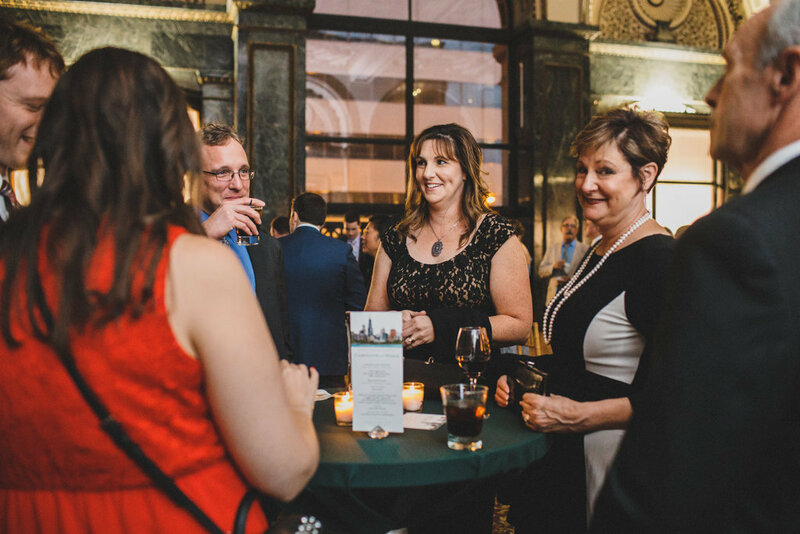 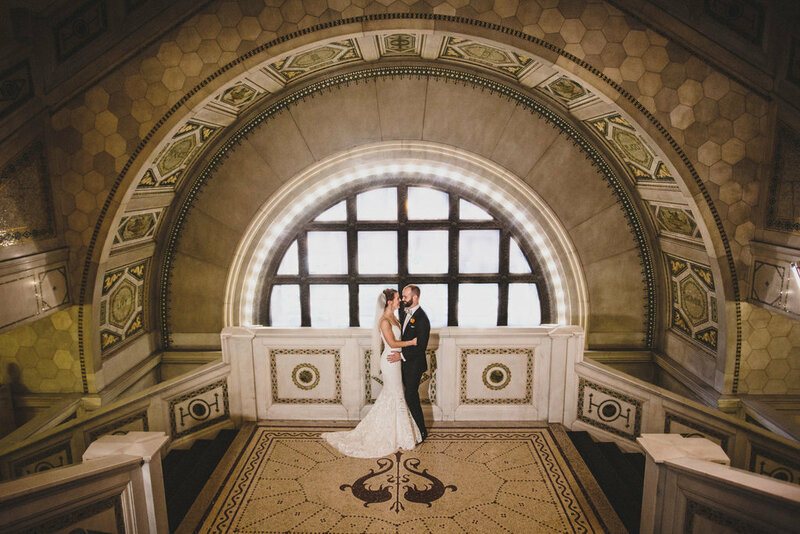 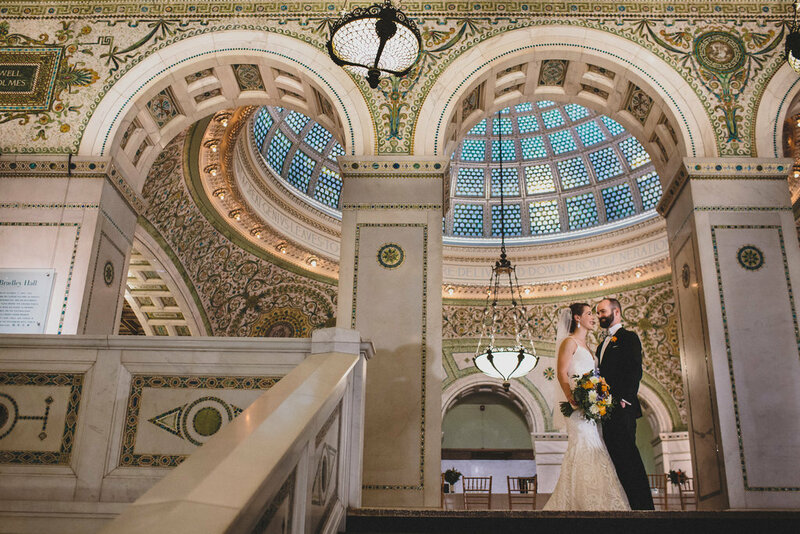 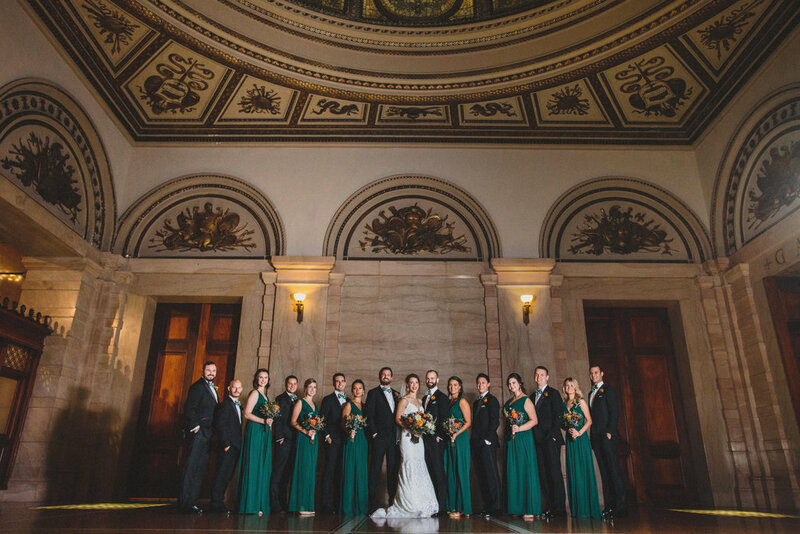 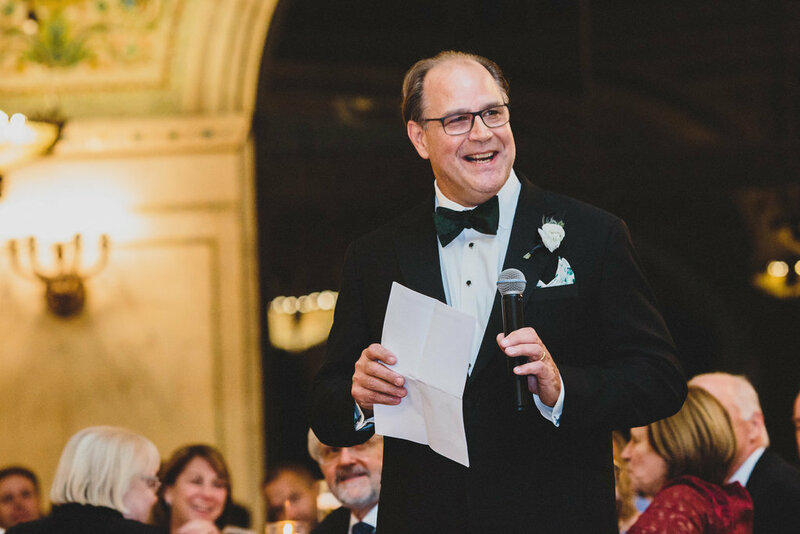 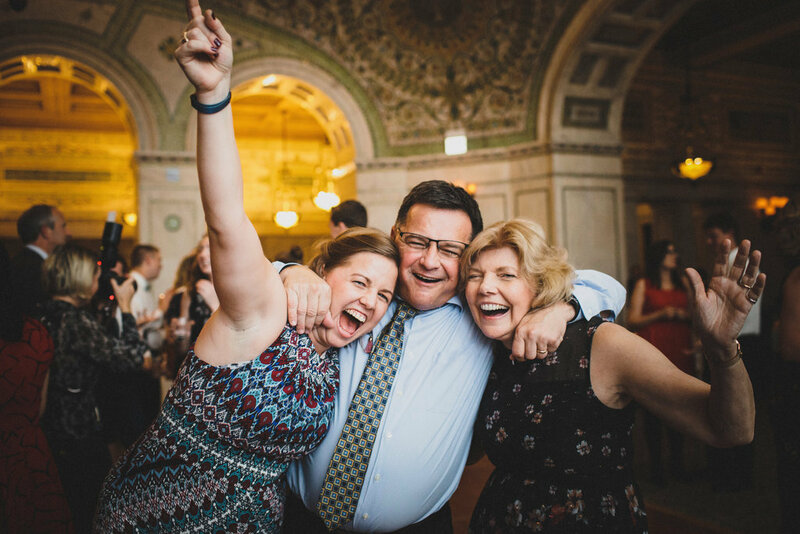 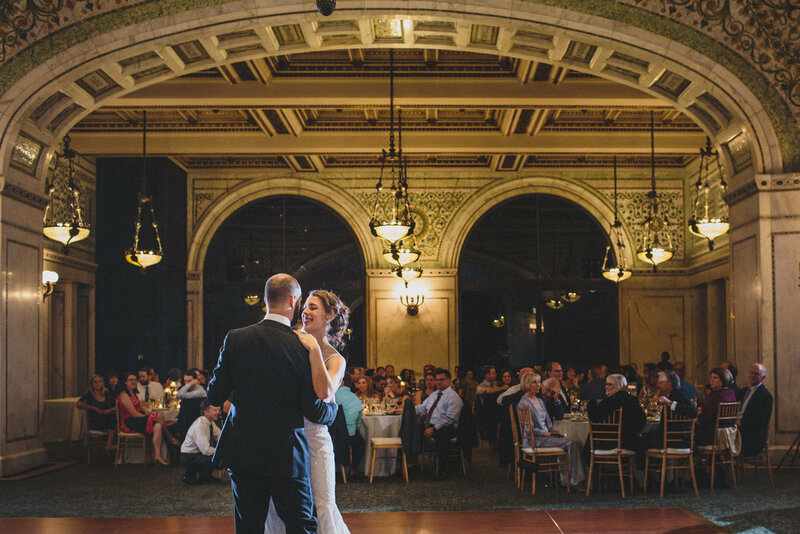 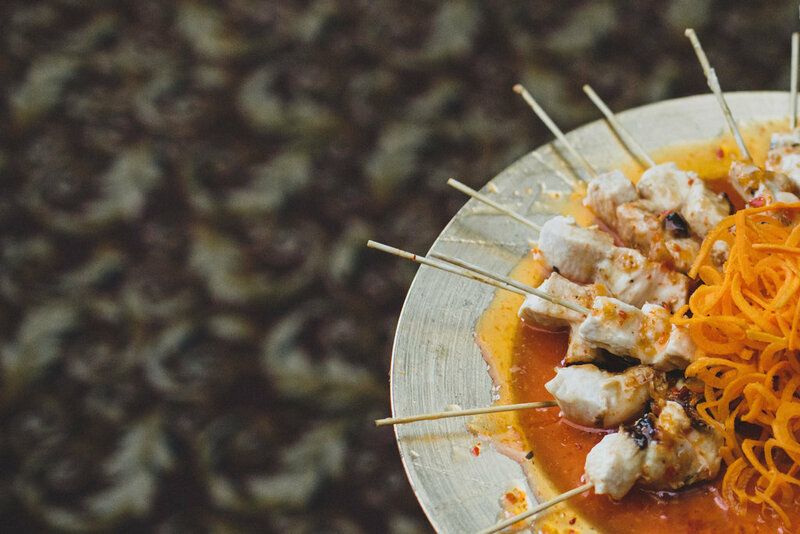 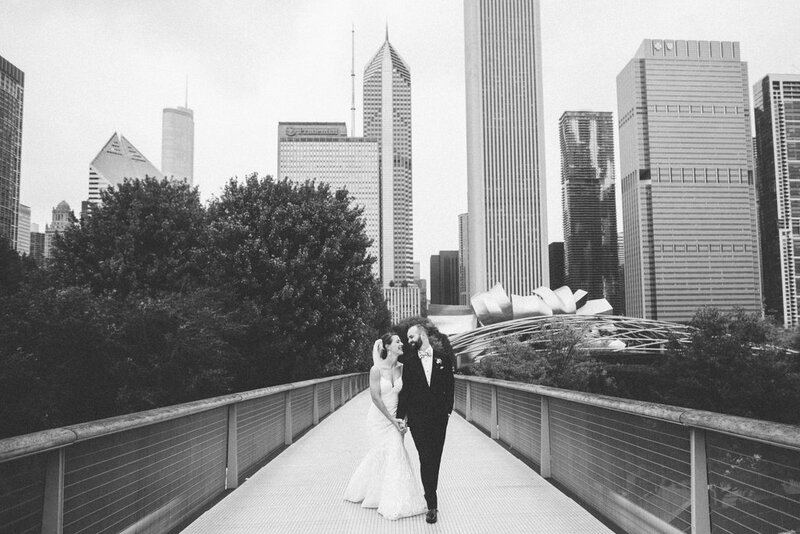 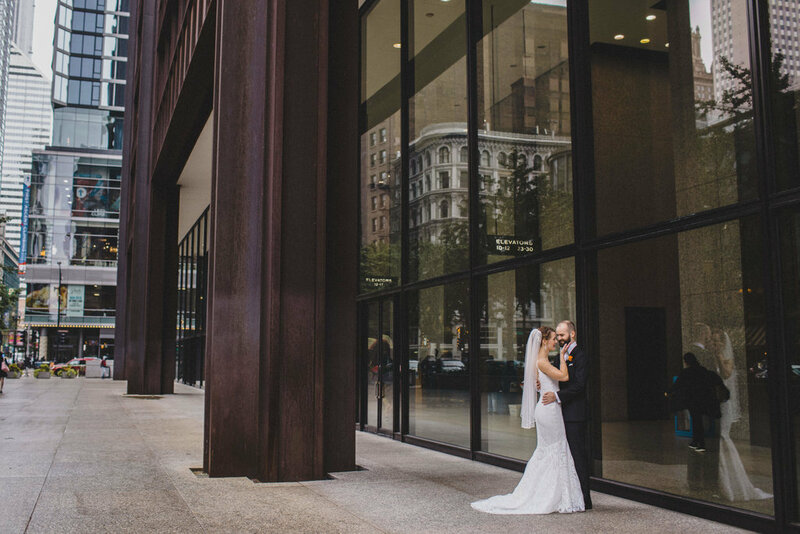 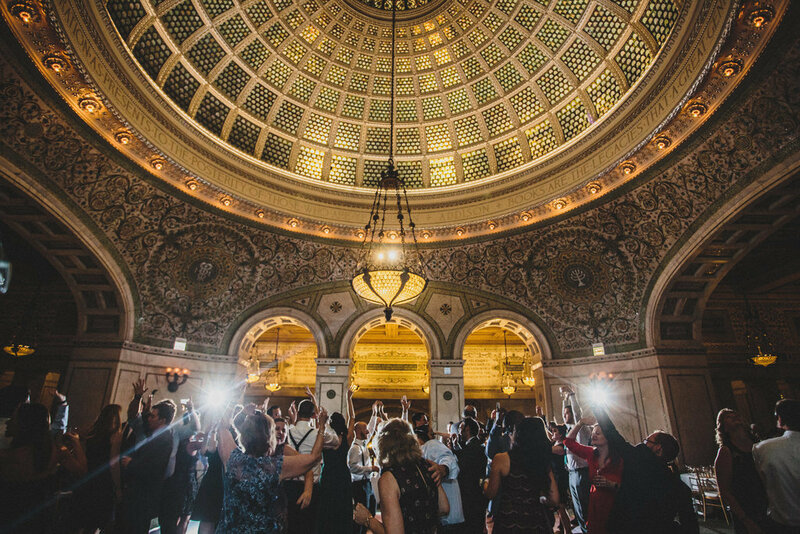 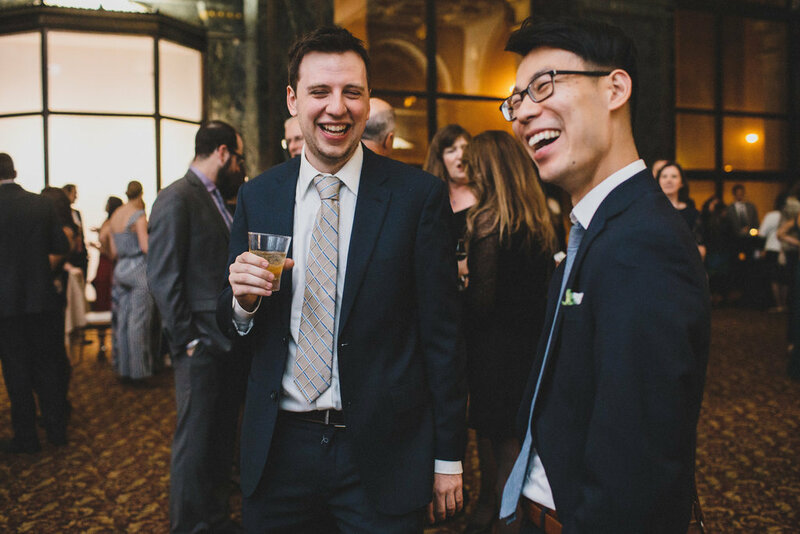 Their reception took place at the Chicago Cultural Center, an architecturally stunning Chicago landmark that’s been around since 1897. 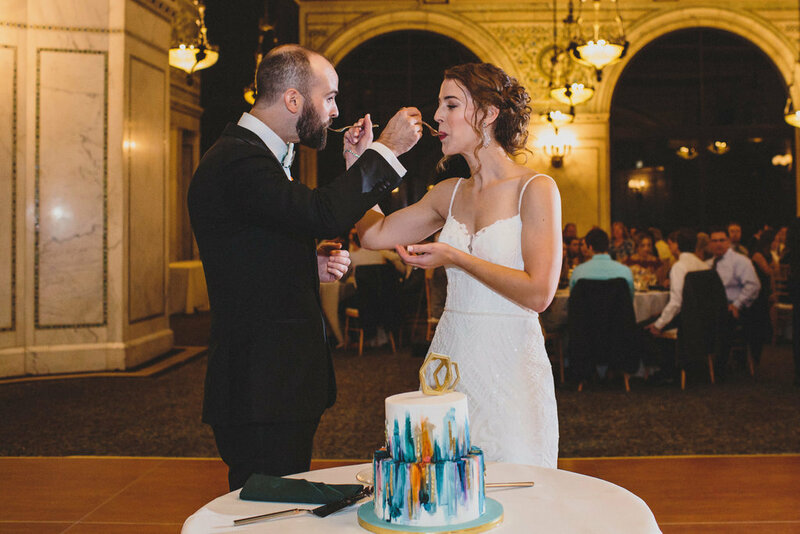 Caroline is an architect, so this was an obvious choice for the couple. 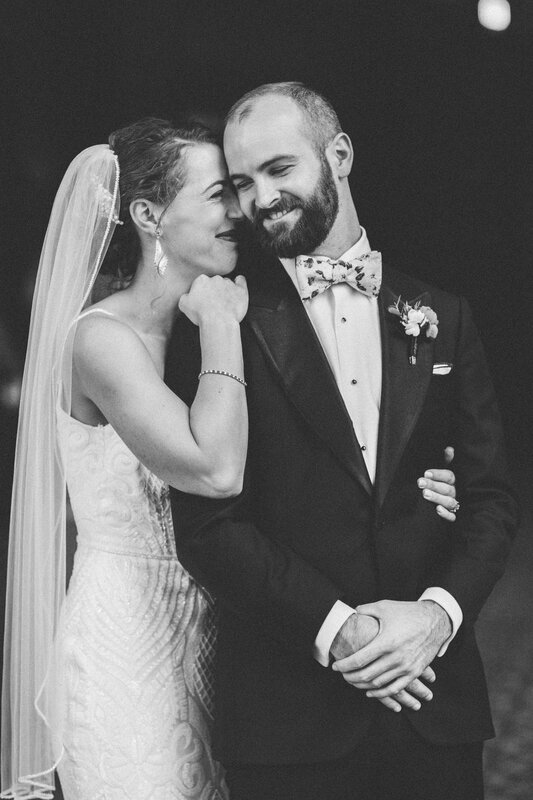 We are so honored to have been a part of their wedding and witness the love and support that emanated all day. 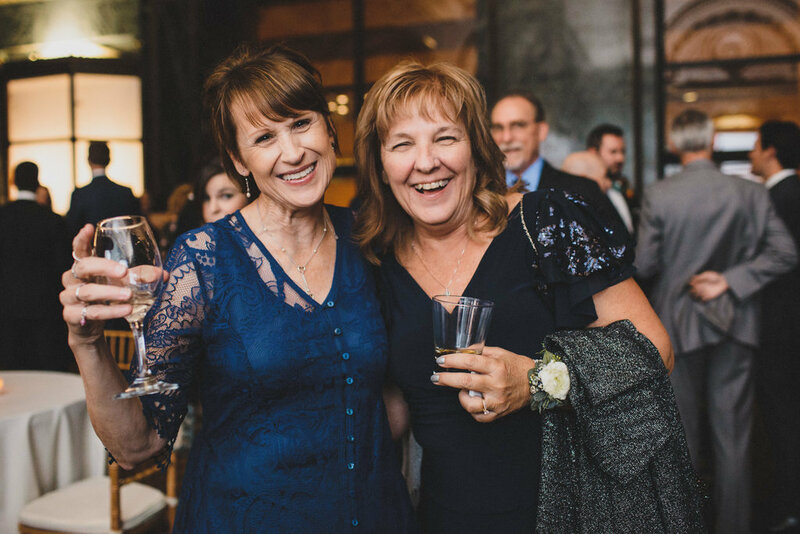 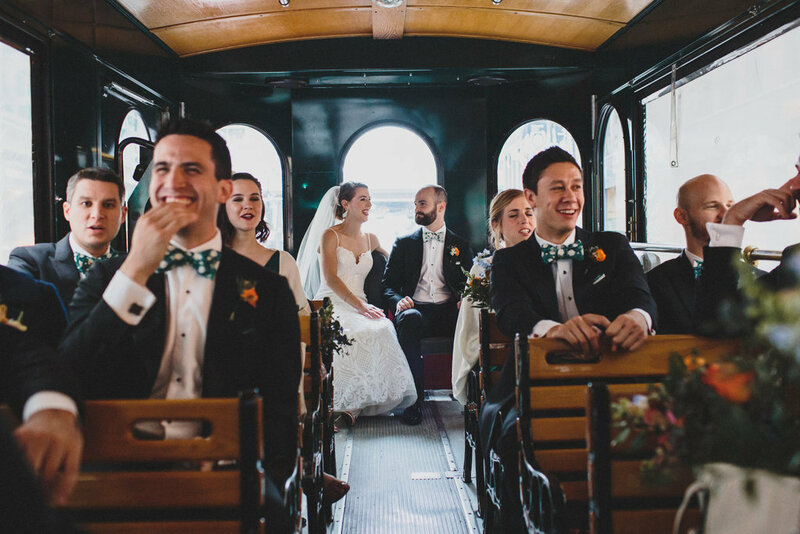 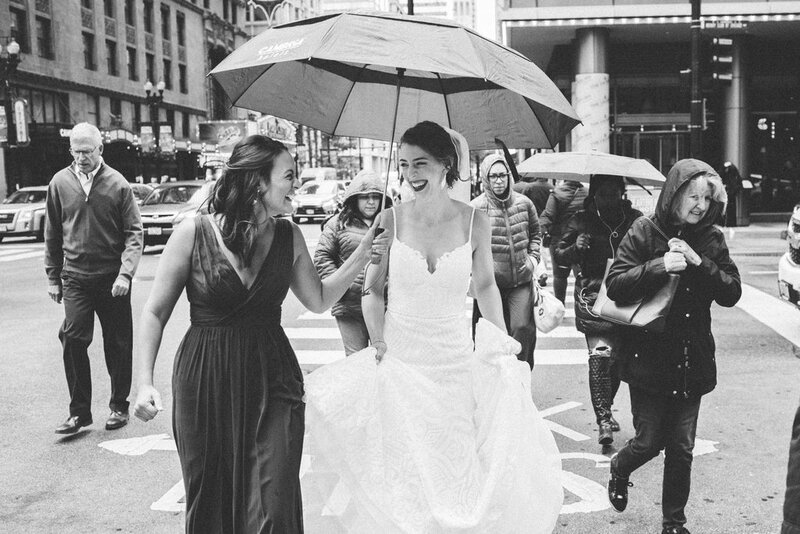 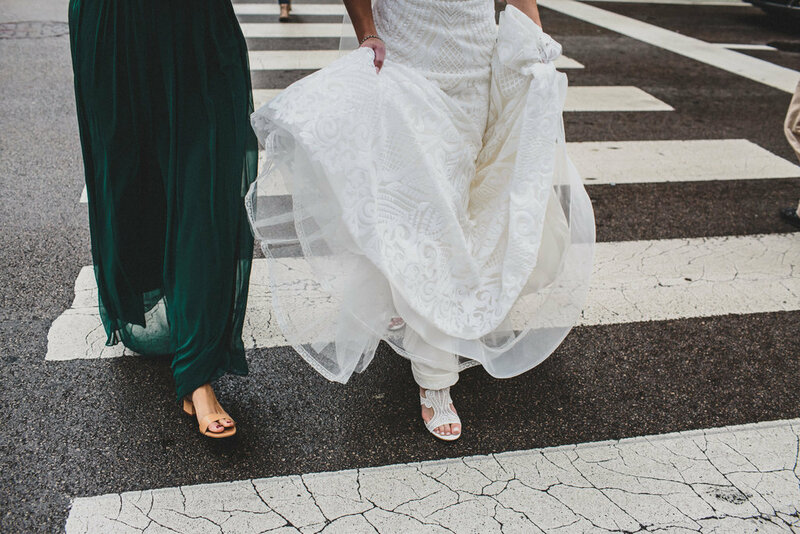 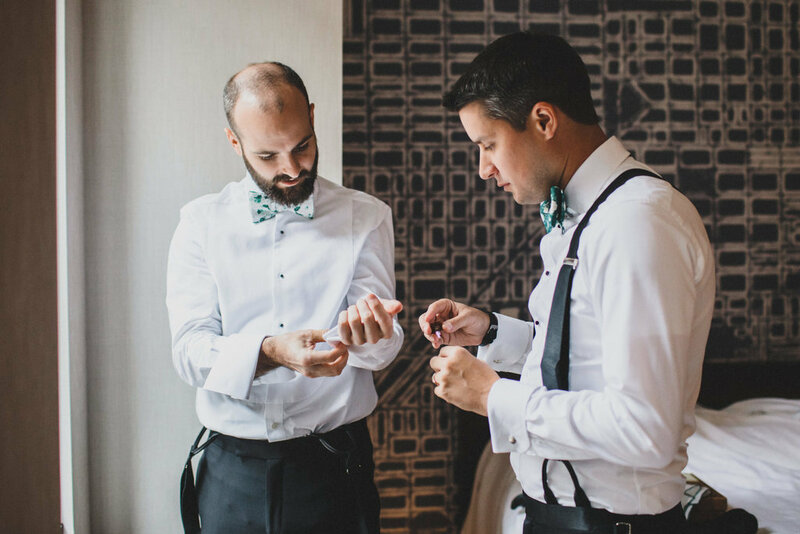 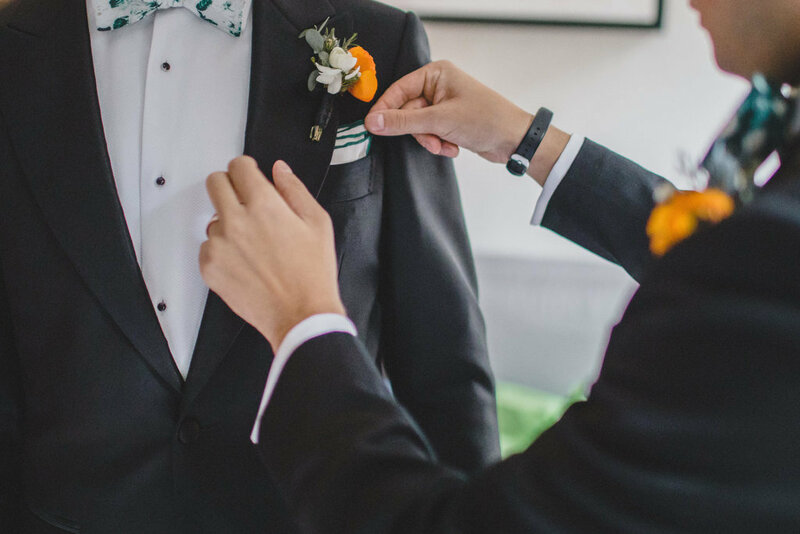 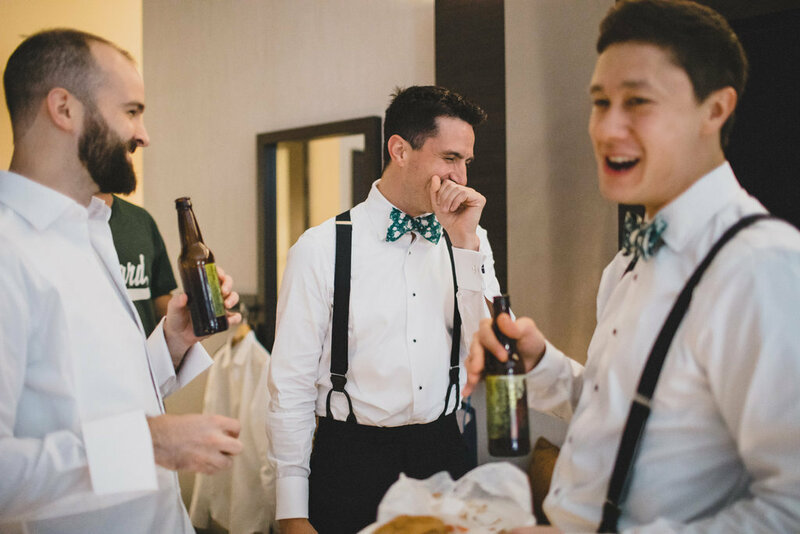 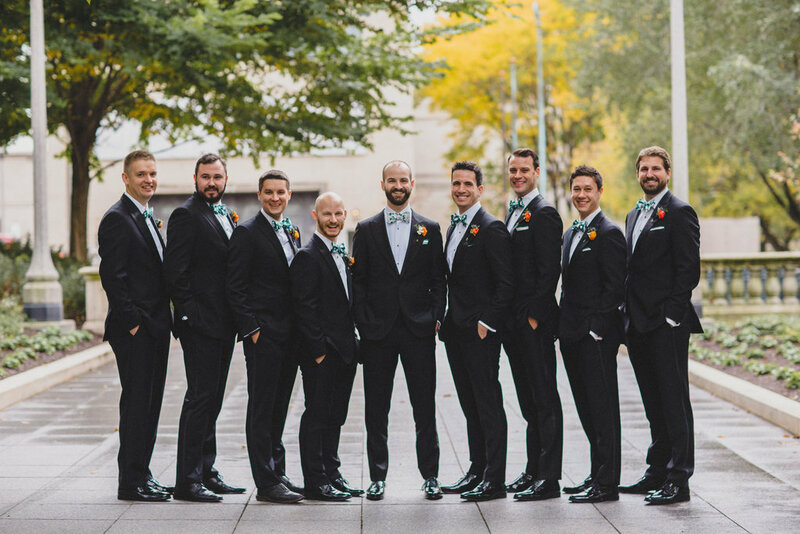 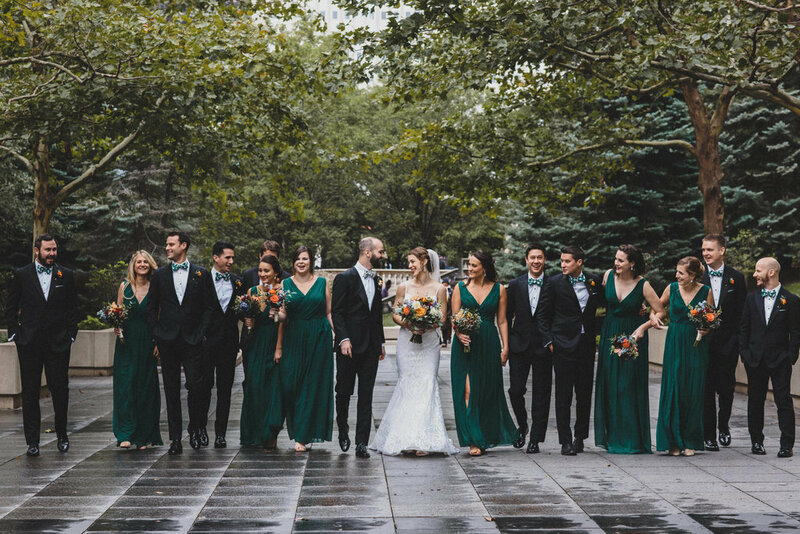 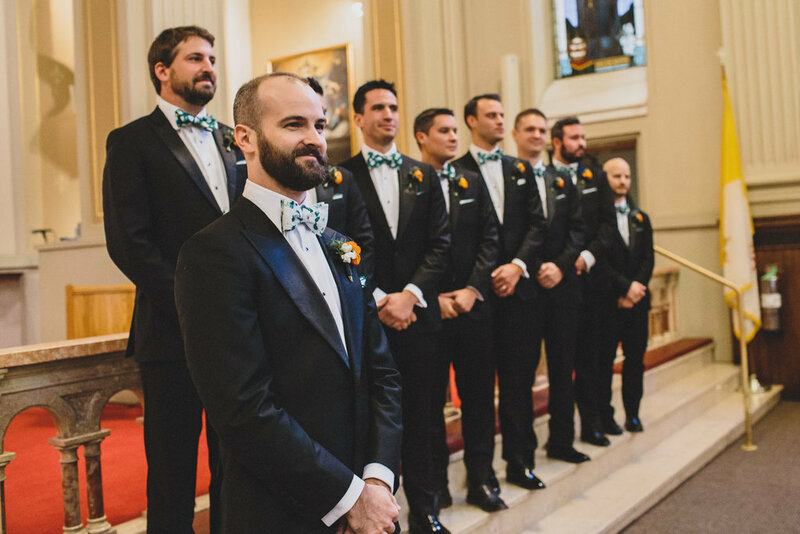 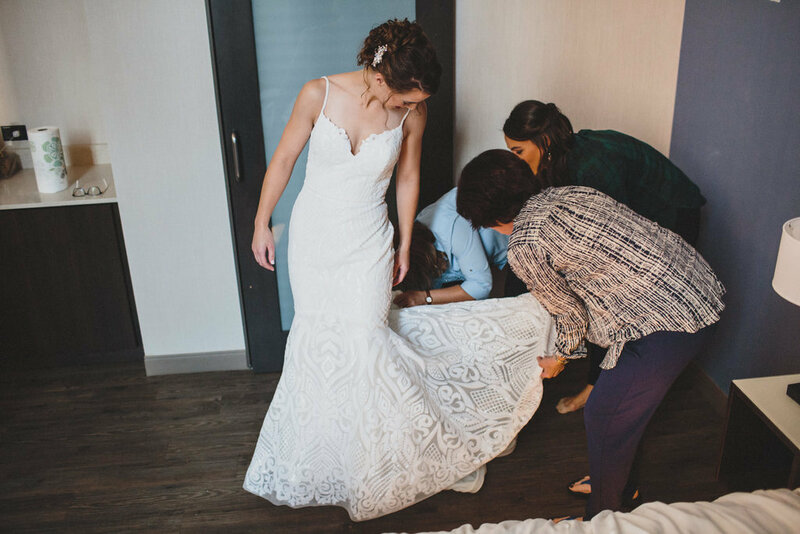 Their day began at the Cambria Hotel, where they got ready in their respective rooms with their closest friends and family. 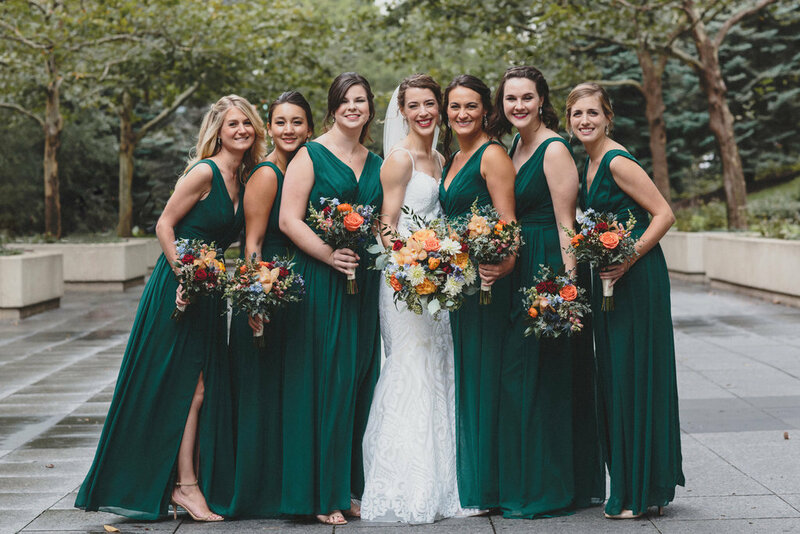 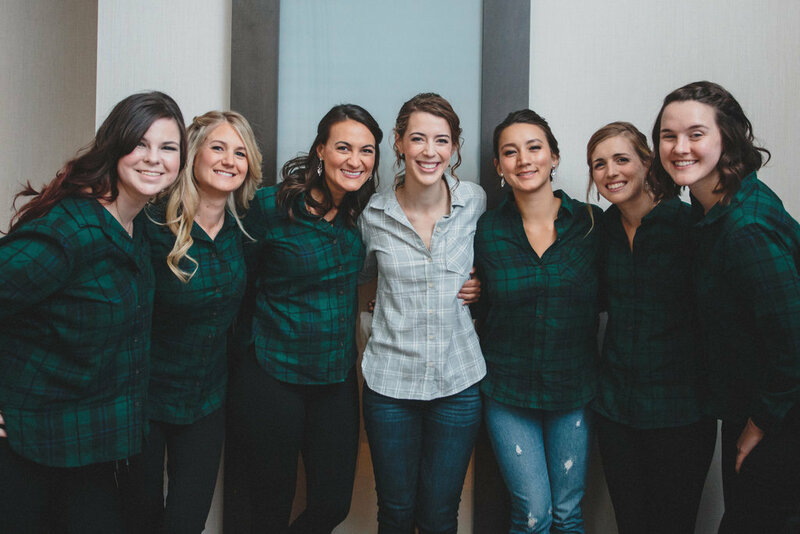 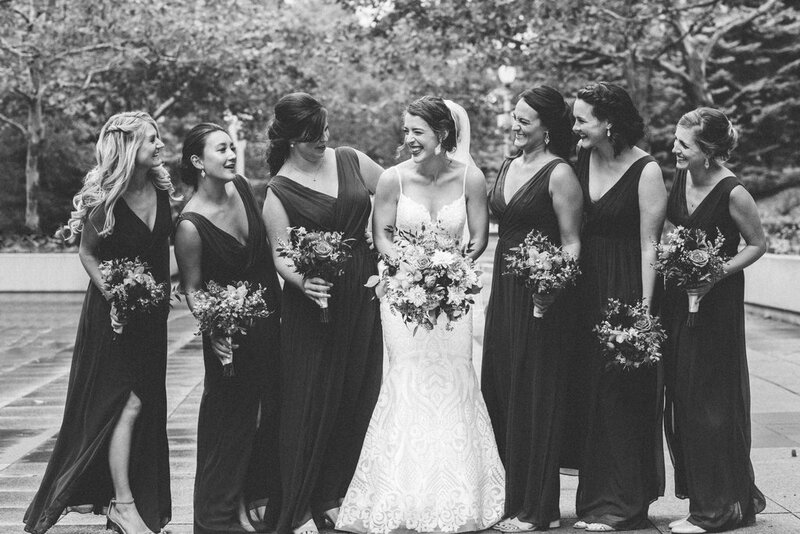 Caroline and her bridesmaids were beautified by Nika Vaughan Bridal Artists. 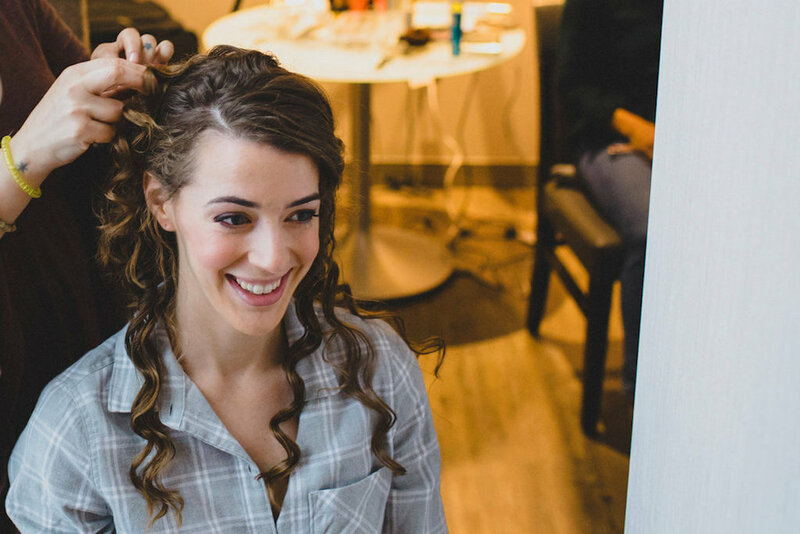 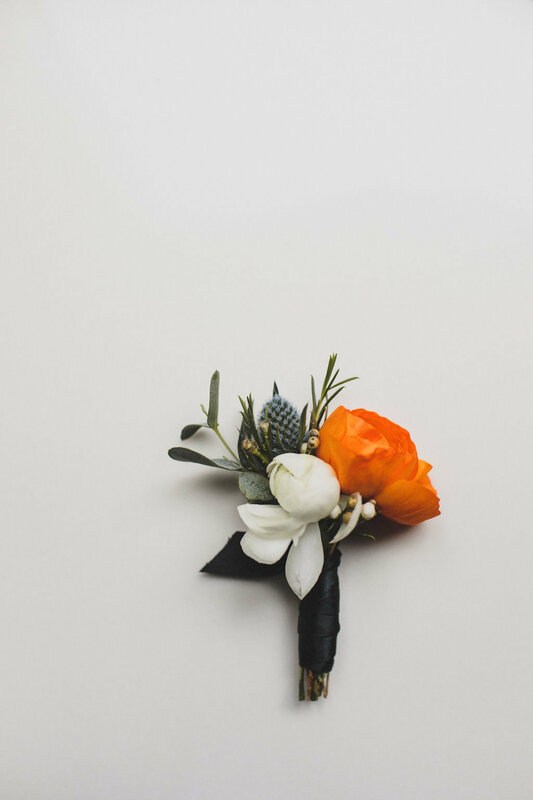 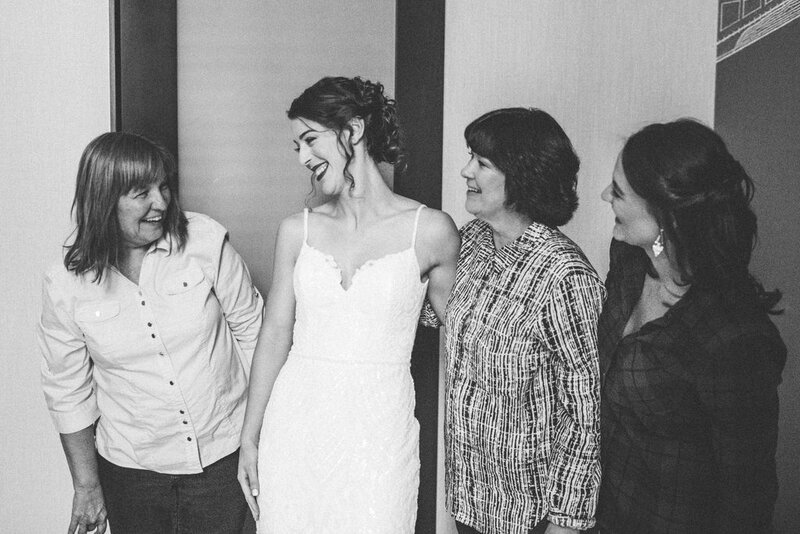 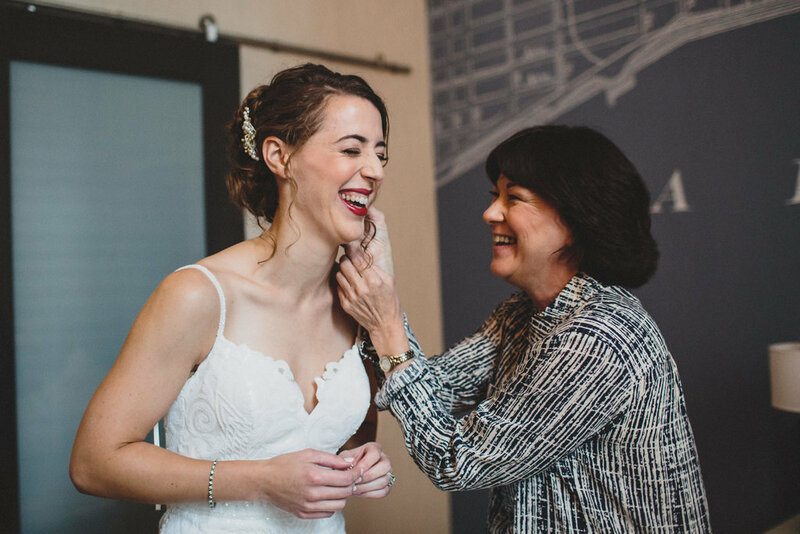 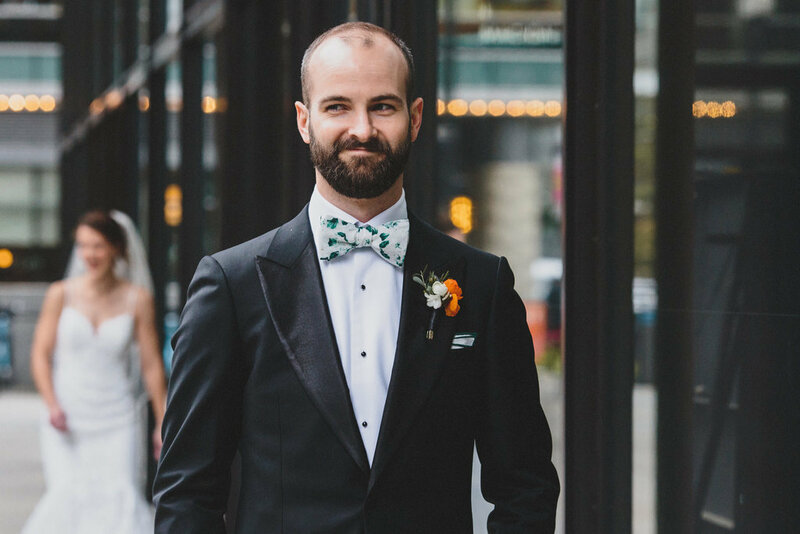 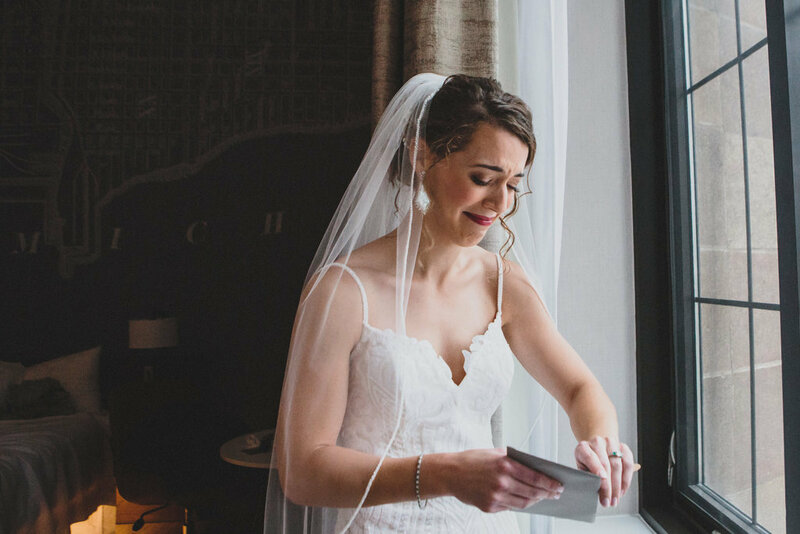 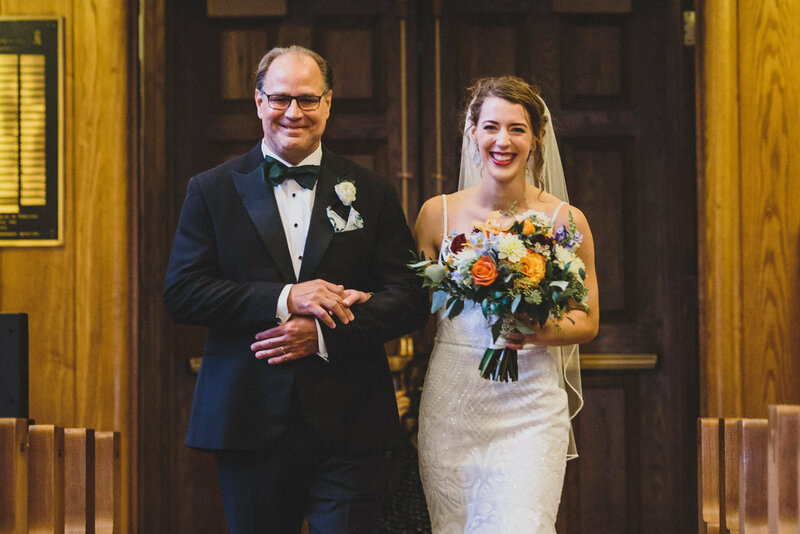 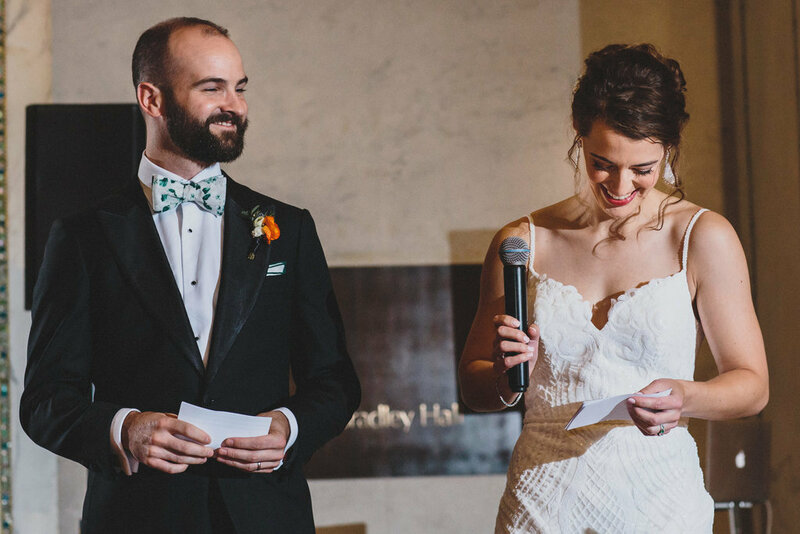 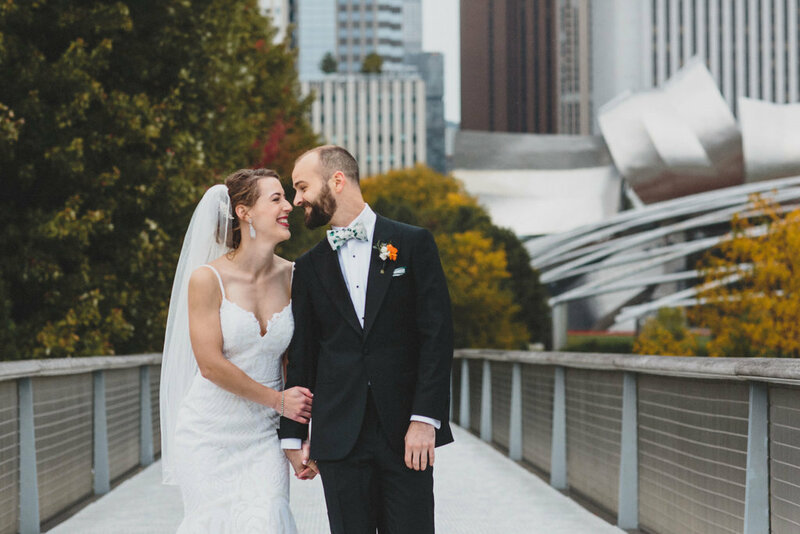 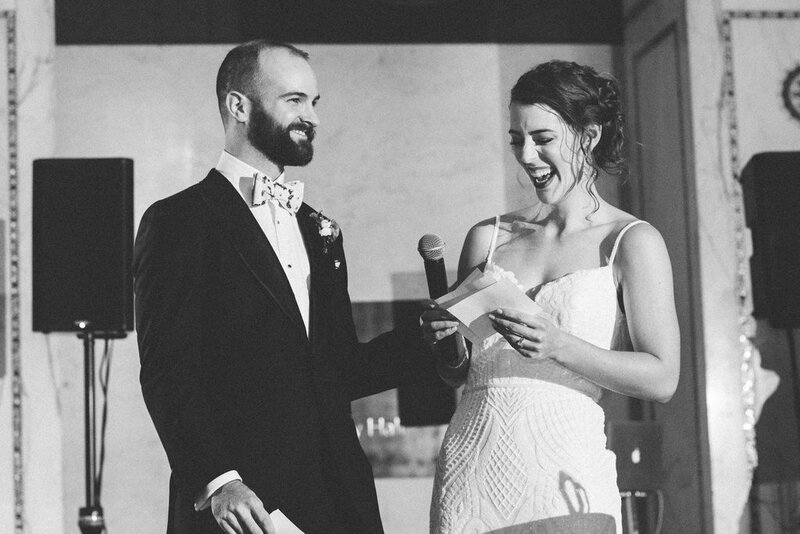 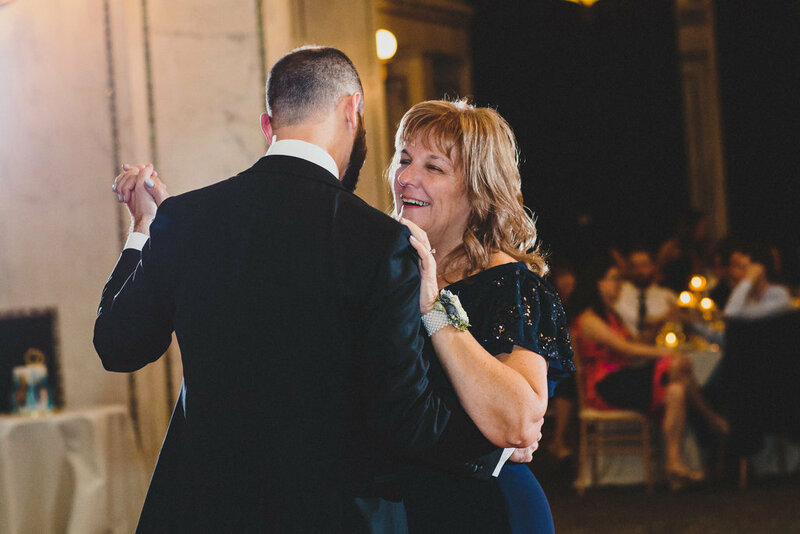 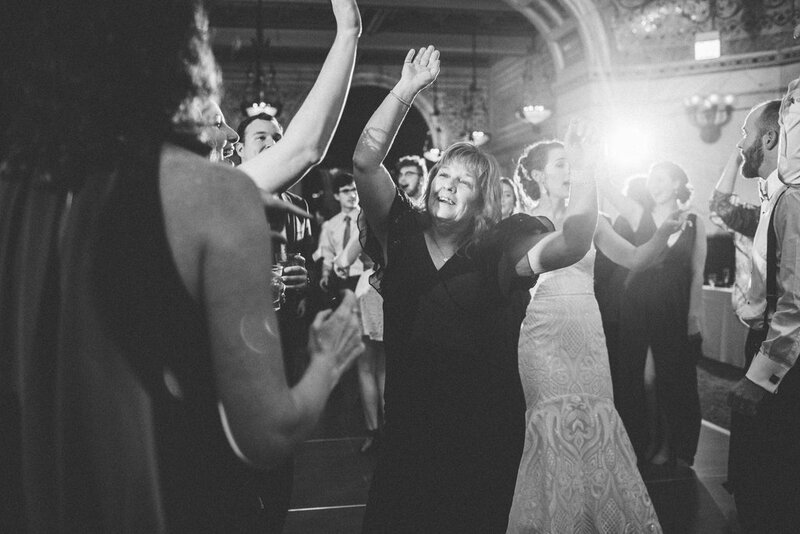 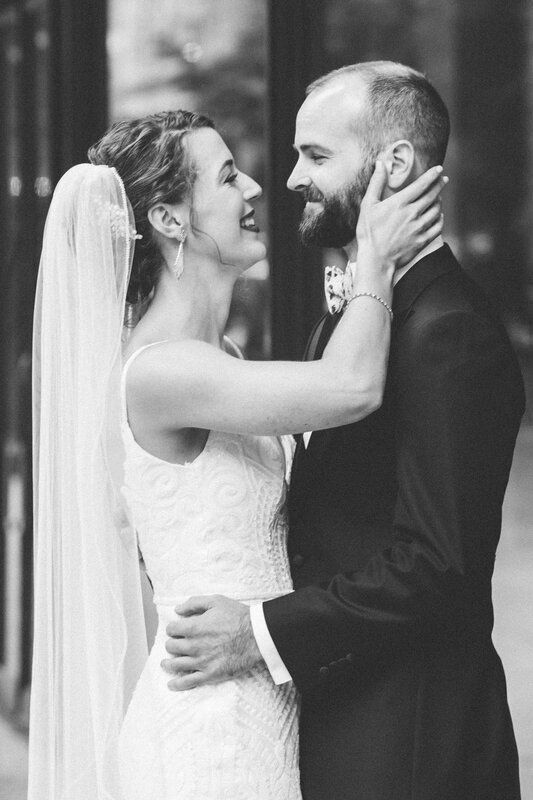 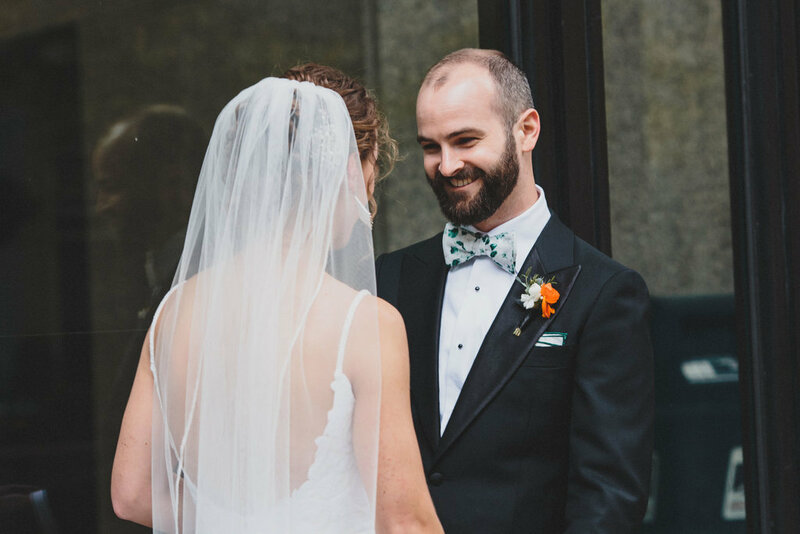 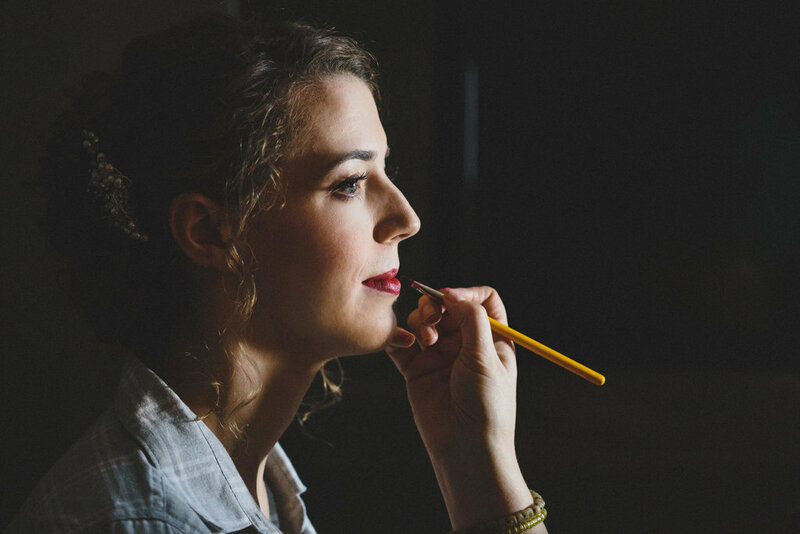 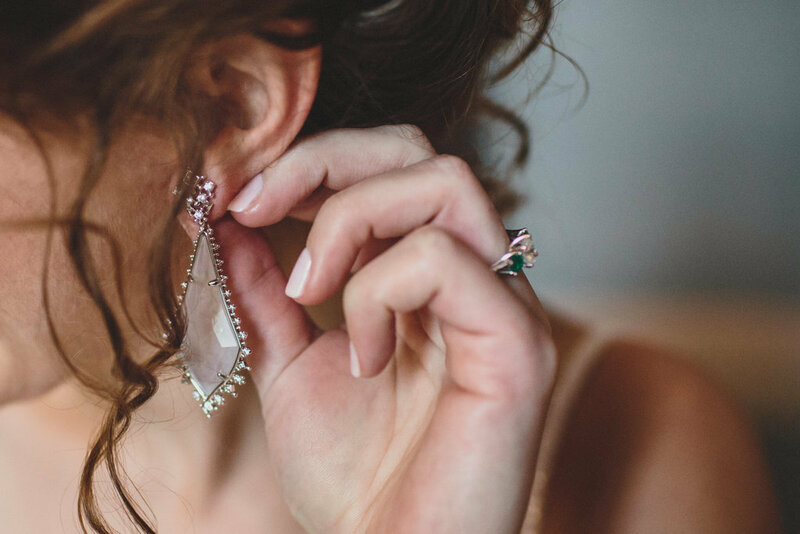 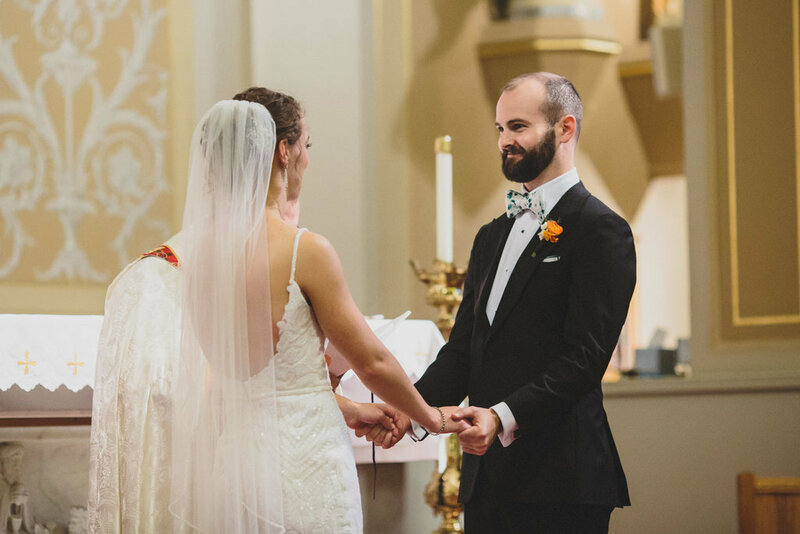 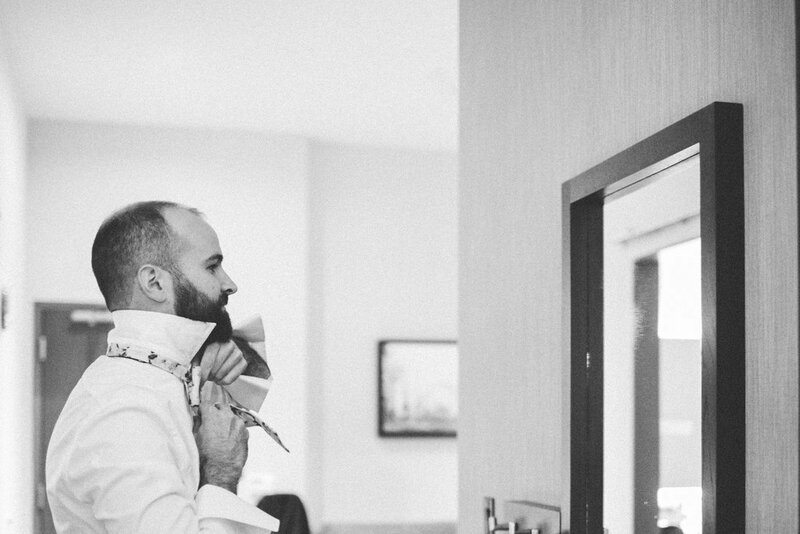 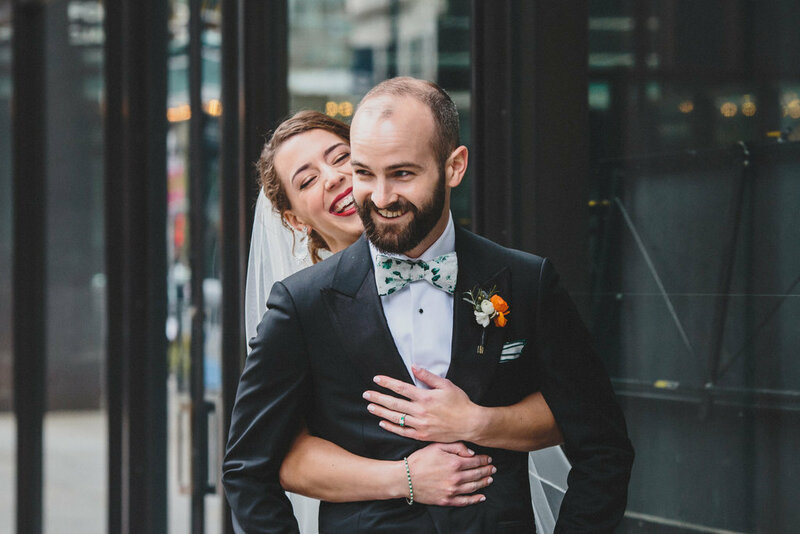 With a little help, Caroline put on her beautiful Hayley Paige dress from Volle’s Bridal & Boutique, and then got teary over a sweet letter from her soon-to-be husband. 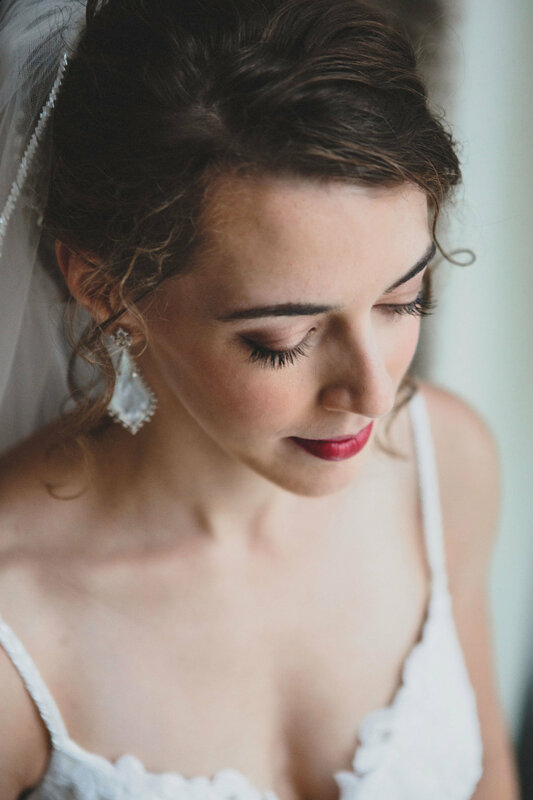 Once she was ready, Caroline headed over to meet Mike for their first look, photographed by the wildly talented Angela Renee. 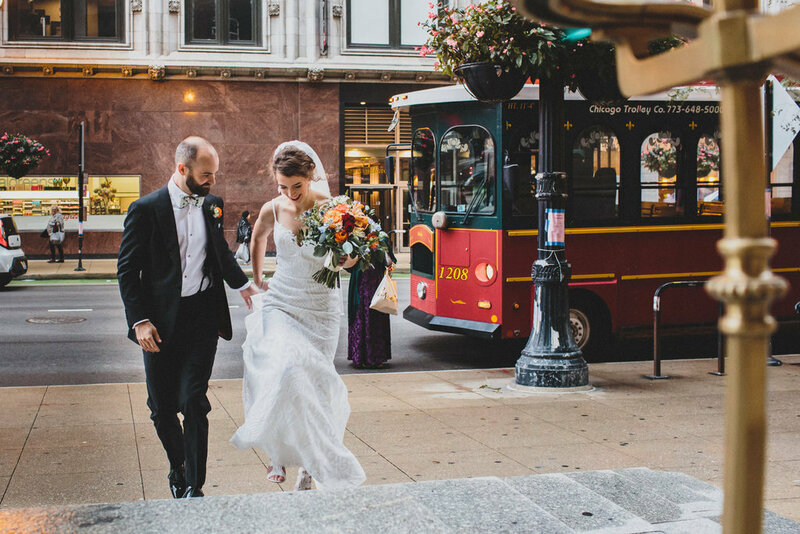 The Chicago Trolley & Double Decker Co. picked up the wedding party and took them to the Chicago Cultural Center and Millennium Park to snap some more photos. 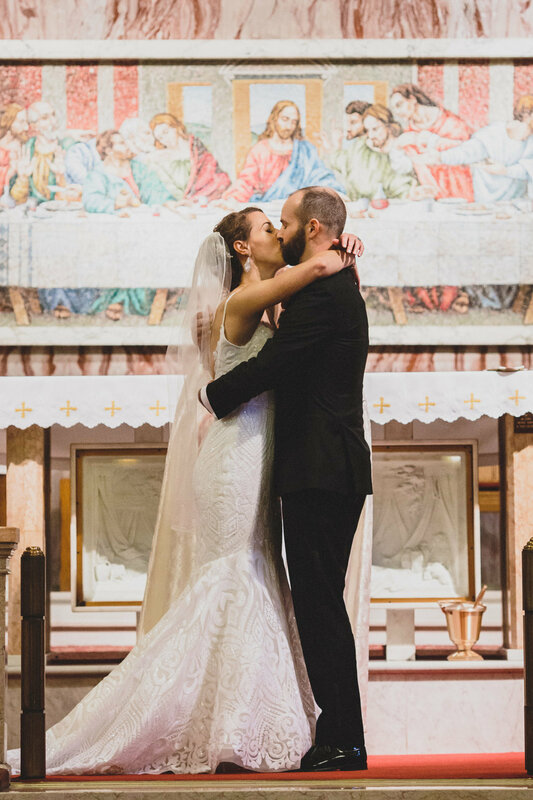 Mike’s cousin Father Ryan Adorjan officiated their ceremony at Assumption Catholic Church, which made it that much more meaningful for everyone. 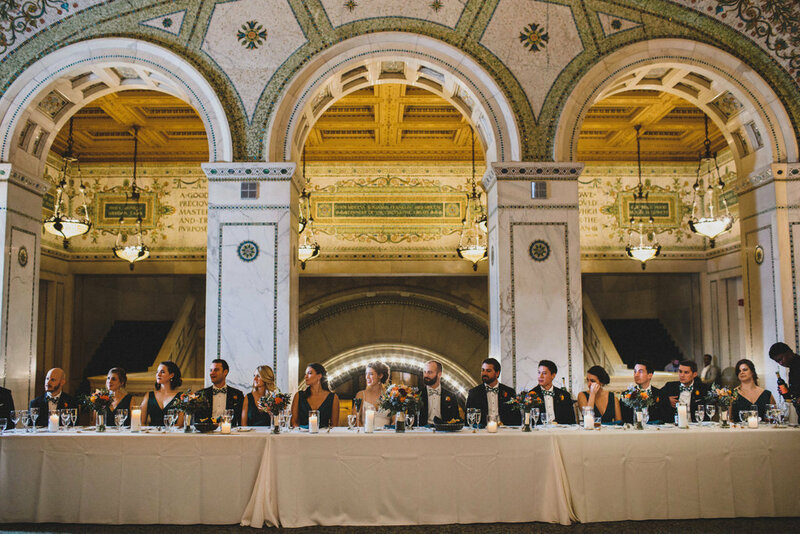 Once family photos at the altar were finished, guests headed to the Chicago Cultural Center for cocktail hour, with passed hors d’oeuvres and drinks by Kenmare Catering. 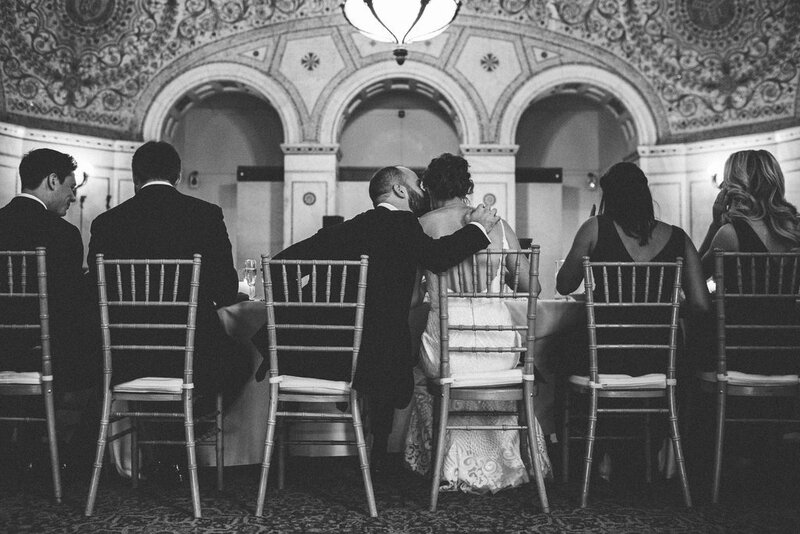 The guests then headed over to Preston Bradley Hall for dinner. 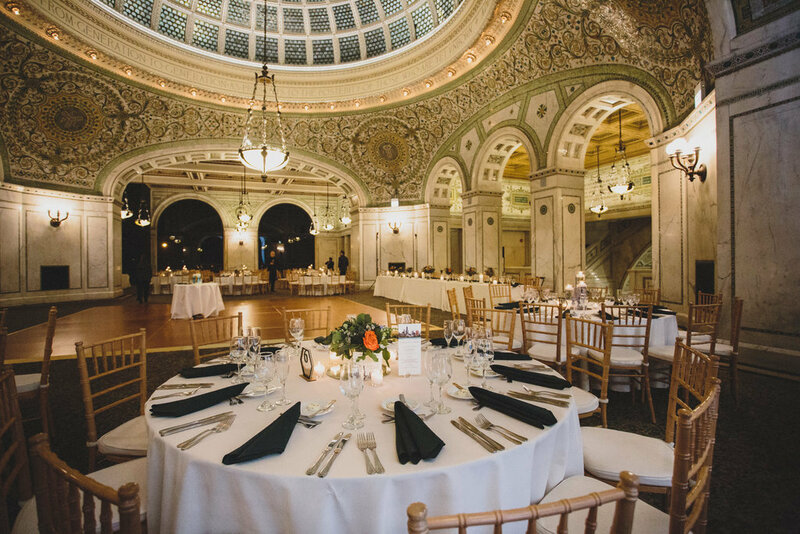 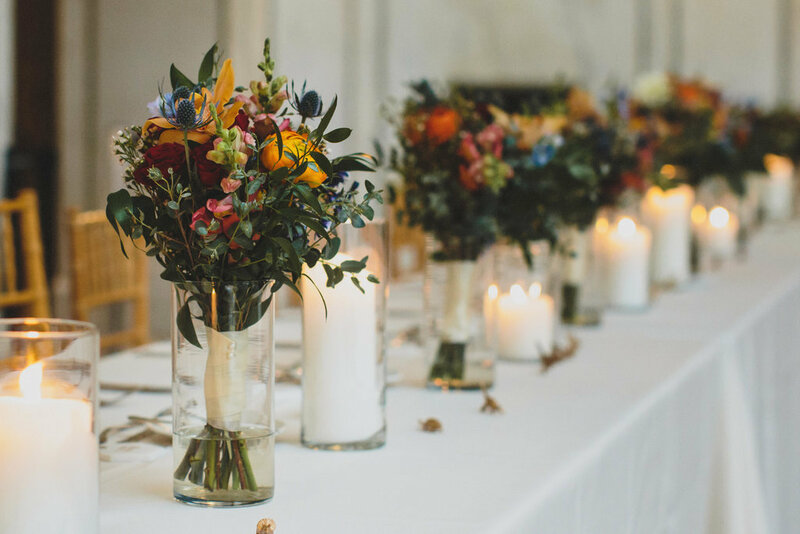 The space was decked out with candles and beautiful floral arrangements by Flowers for Dreams, which complemented the grandiose mosaic ceiling. 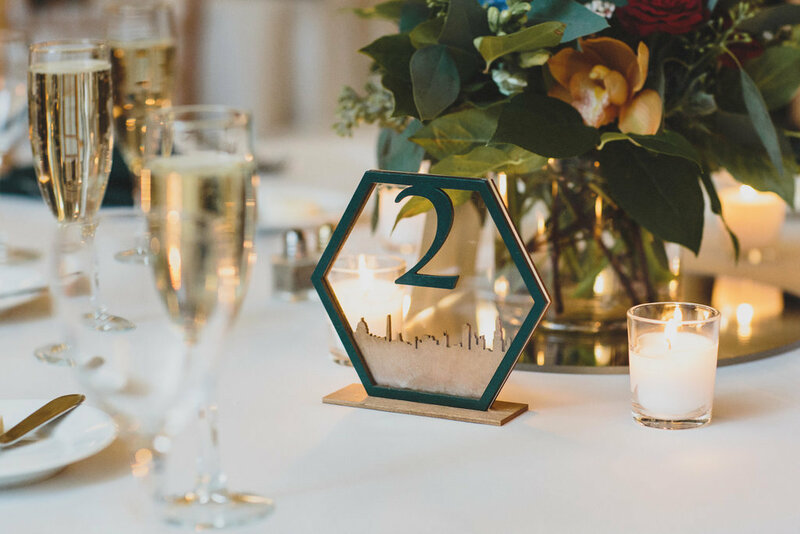 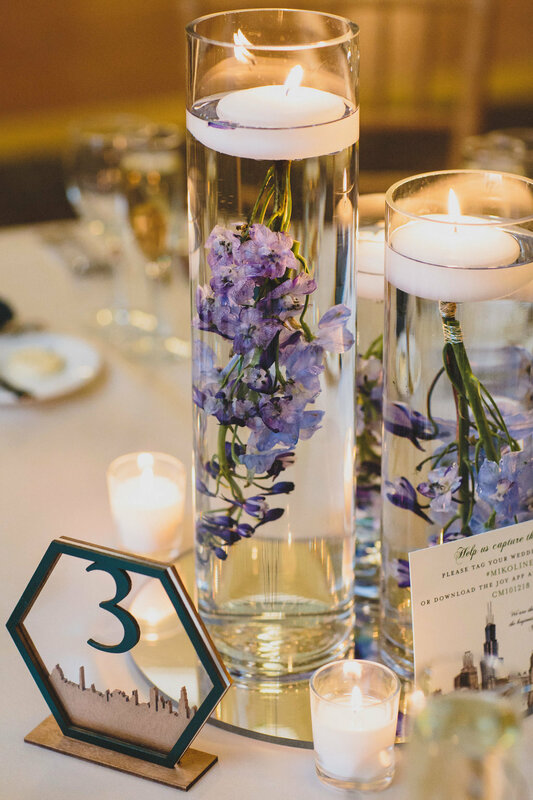 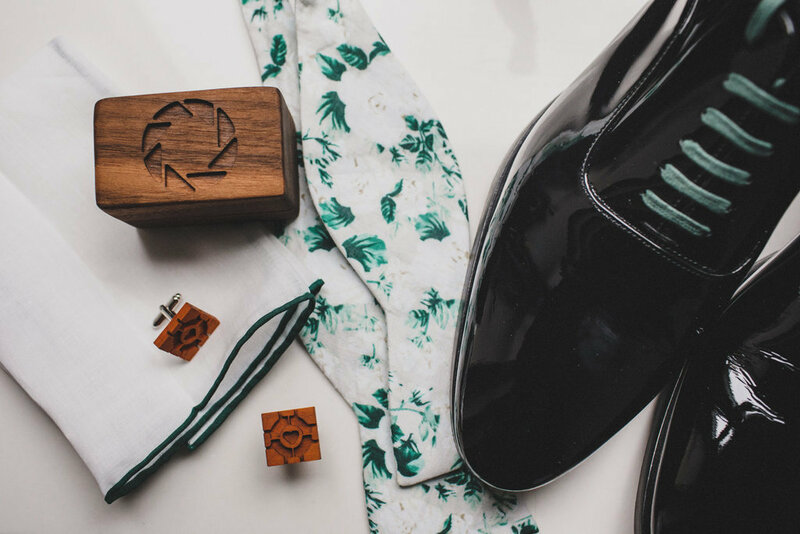 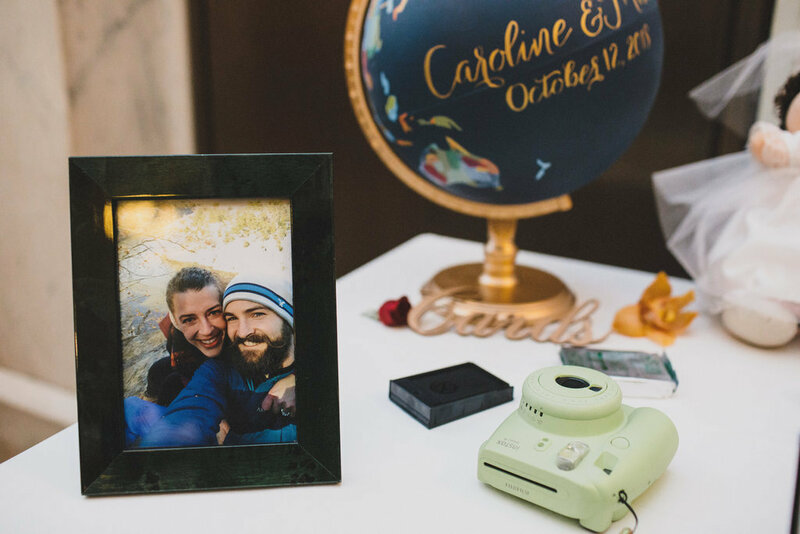 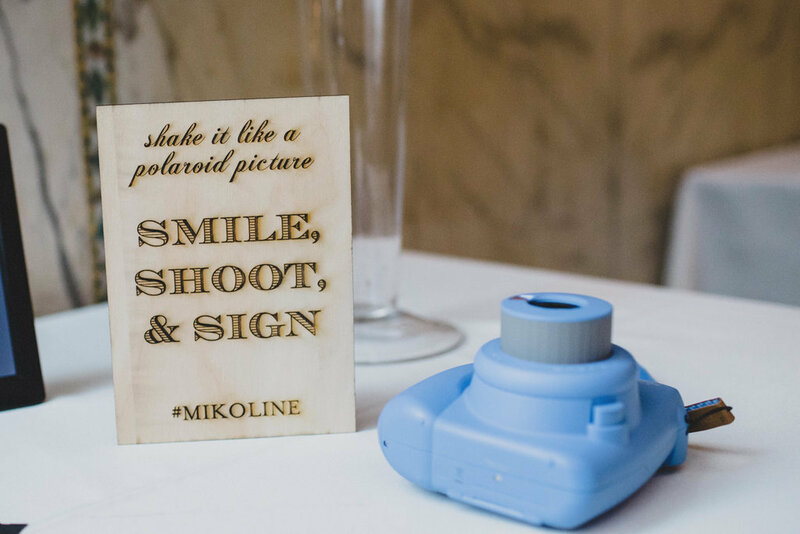 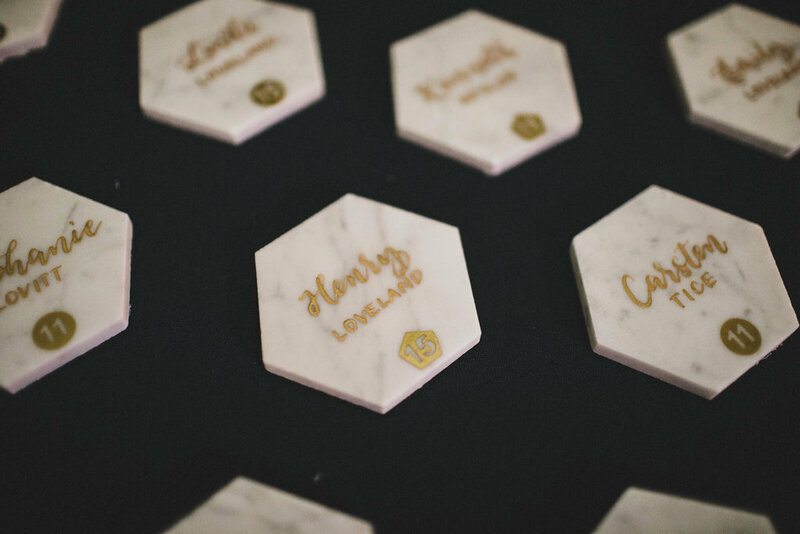 Caroline and Mike’s appreciation for architecture and travel was everywhere: from their globe “card box” to their DIY’d skyline table numbers. 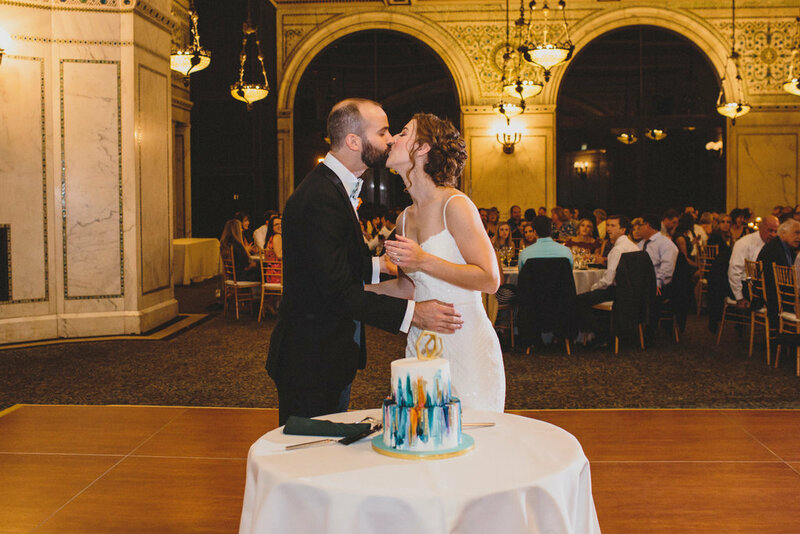 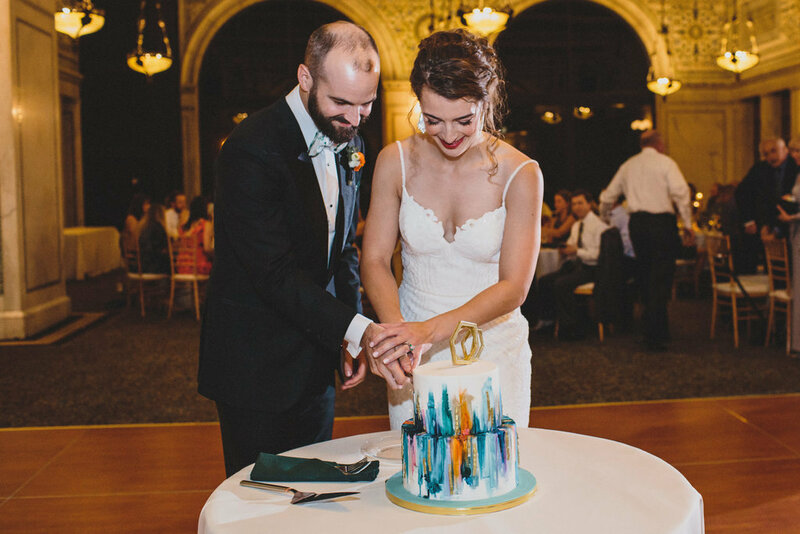 Caroline and Mike kicked off dinner by thanking their guests and cutting into their Chicago-inspired cake from Alliance Bakery. 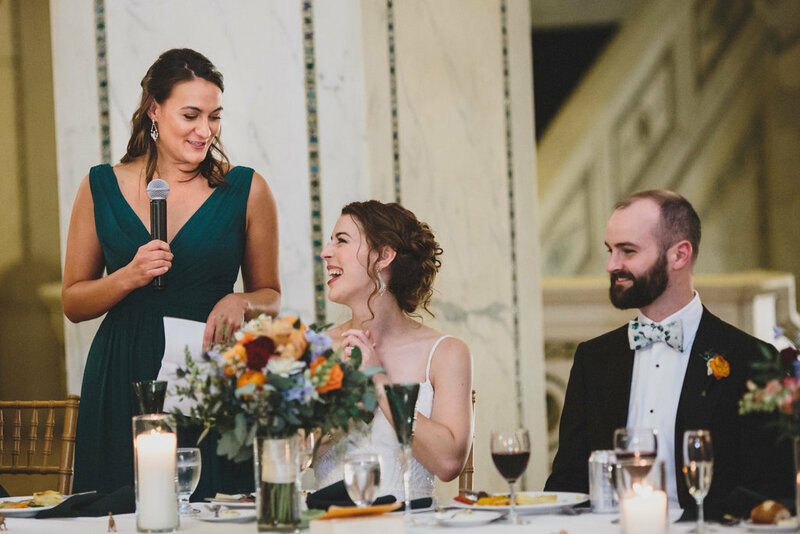 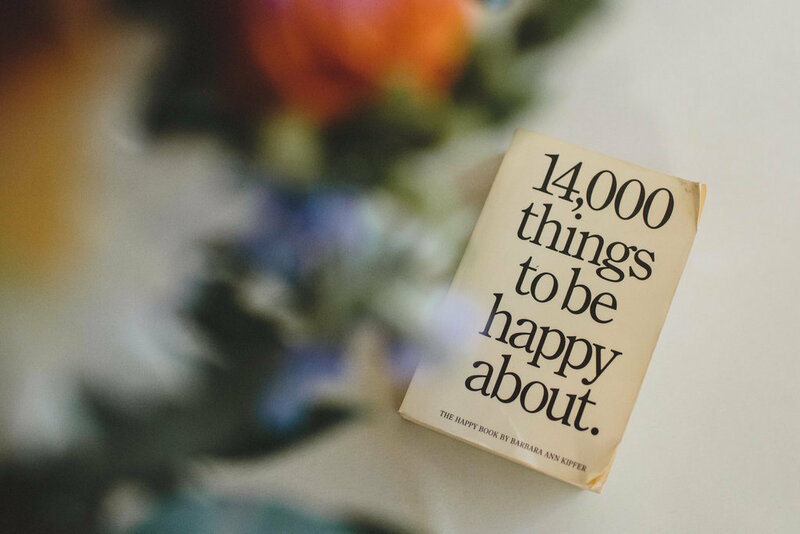 The mic was then handed over to father of the bride Michael, who gave an incredibly thoughtful speech, complete with Caroline’s favorite book growing up, “14,000 Things to Be Happy About,” and a Jason Mraz song. 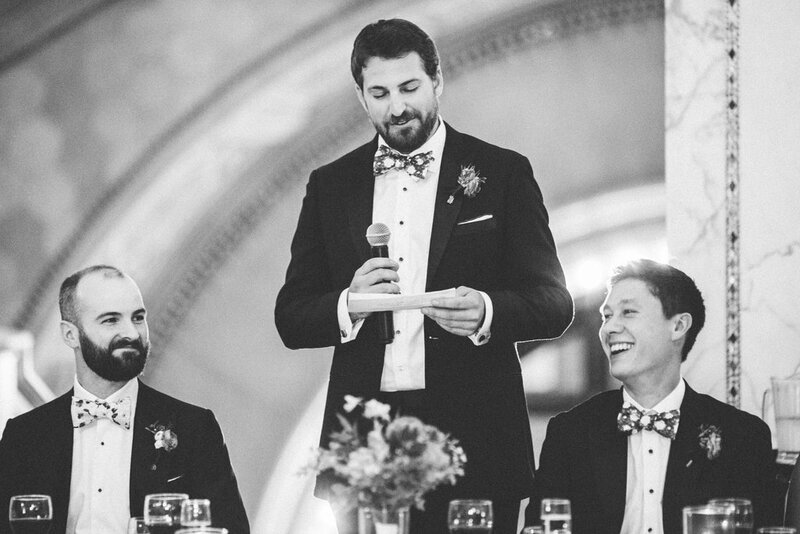 As guests continued enjoying their meals, we also heard a couple more speeches from Mike’s brother and best man Brian, and Caroline’s maid of honor Anastasia. 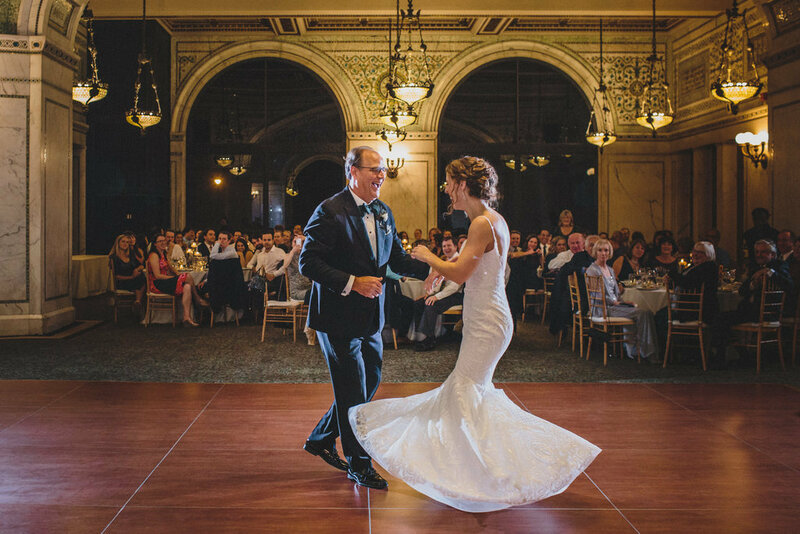 Last but not least, Caroline and Mike enjoyed their first dance, followed by the father/daughter and mother/son dances. 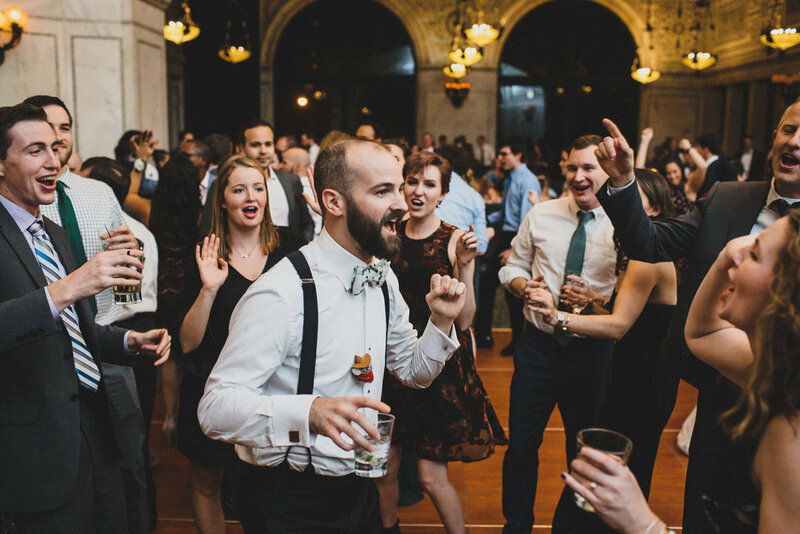 We were personally blown away with everyone’s skillful dance moves! 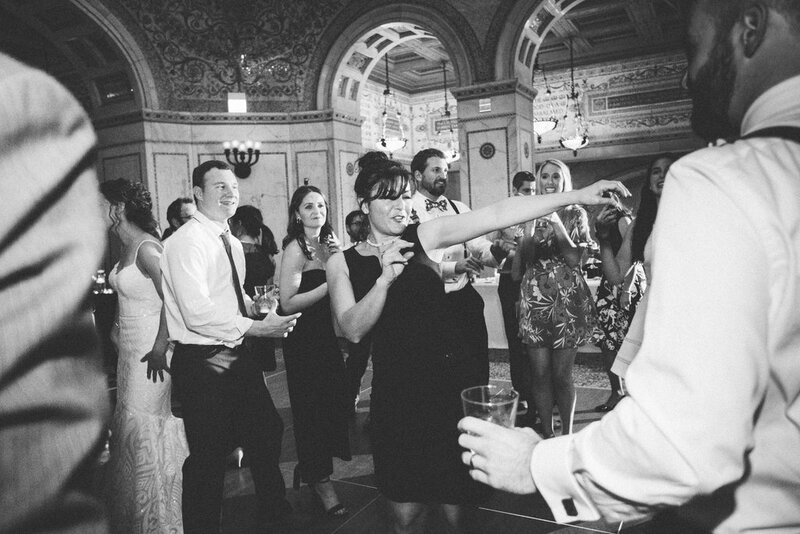 Then the party really began: Toast & Jam rocked the house and the dance floor was packed all night! 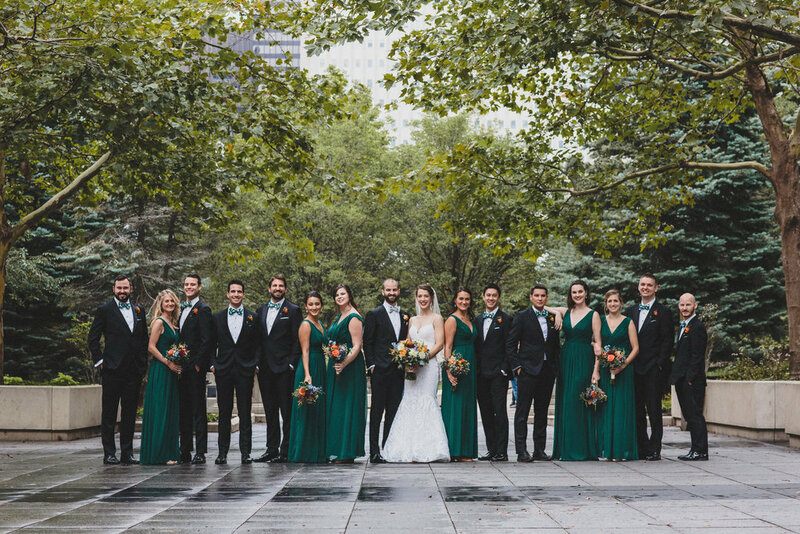 People came from near and far (some as far as Australia!) 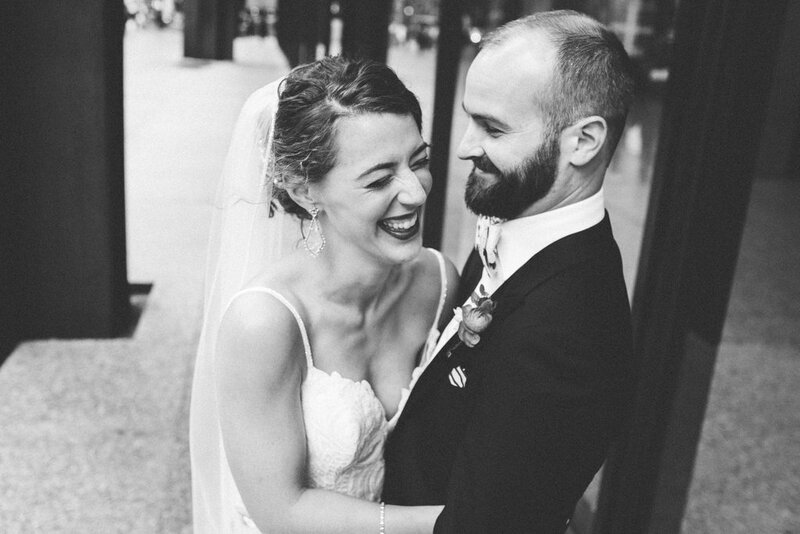 to celebrate this special day for Caroline and Mike, which doesn’t surprise anyone who’s had the pleasure of meeting them. 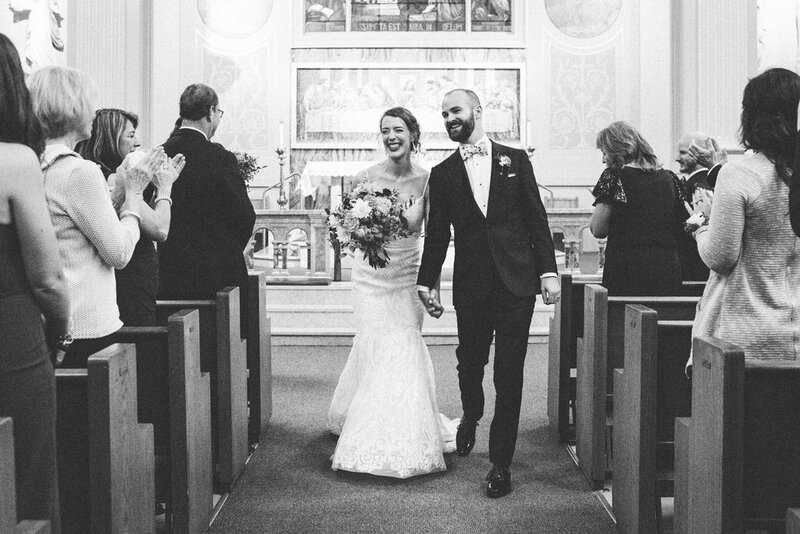 Congratulations, Caroline and Mike! 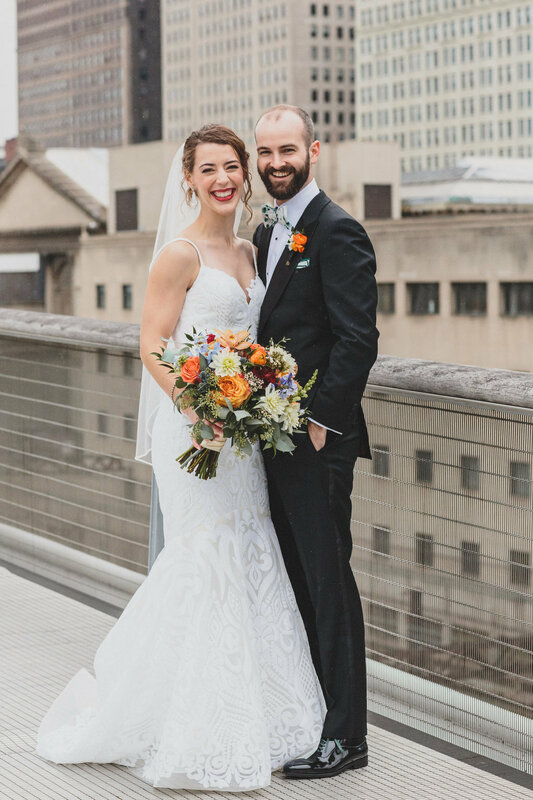 We wish you a lifetime of even more laughter, travel, and adventures together!